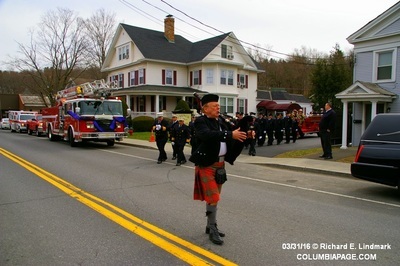 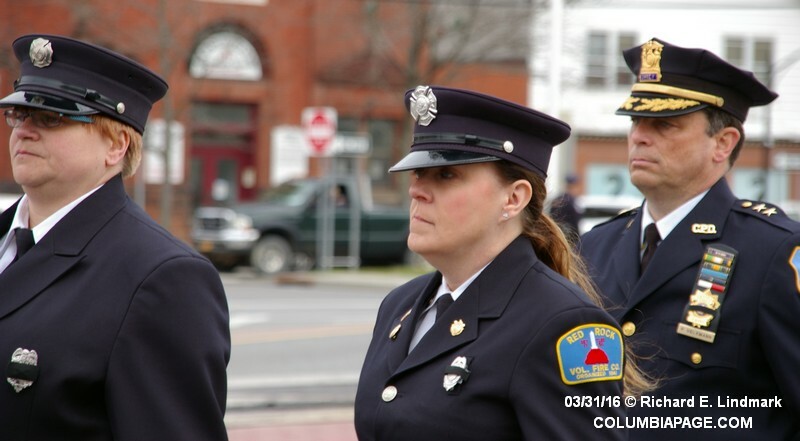 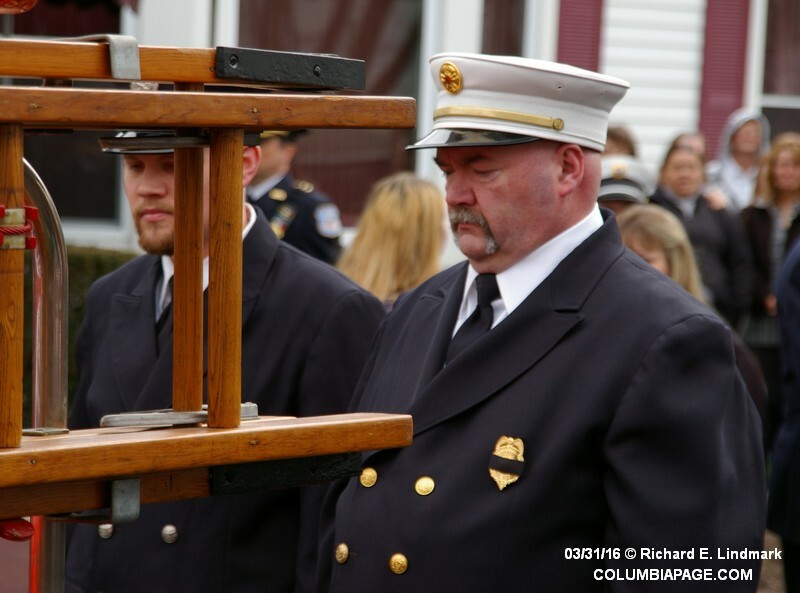 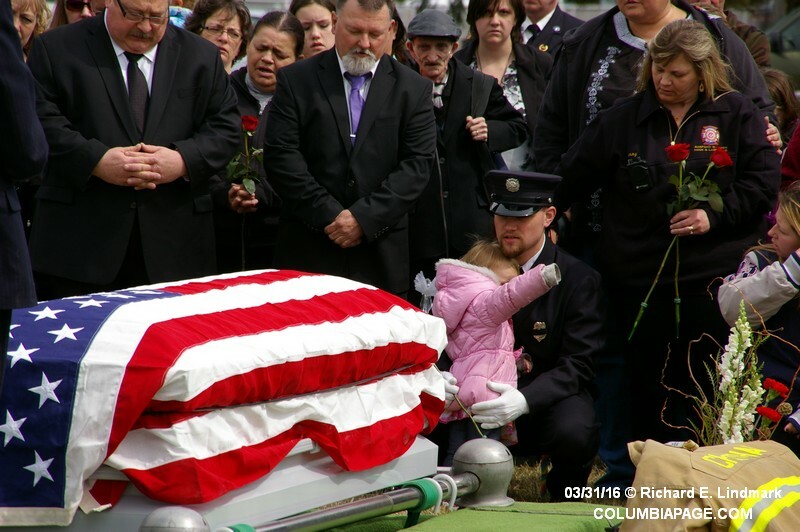 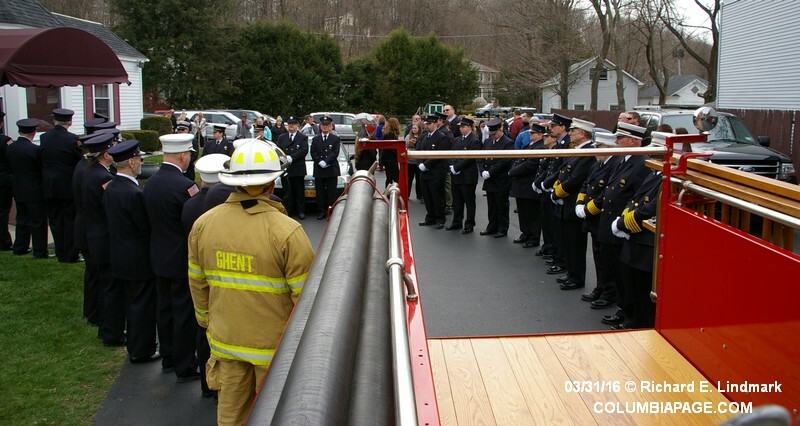 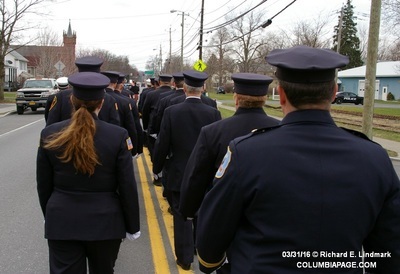 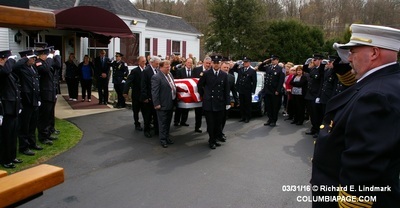 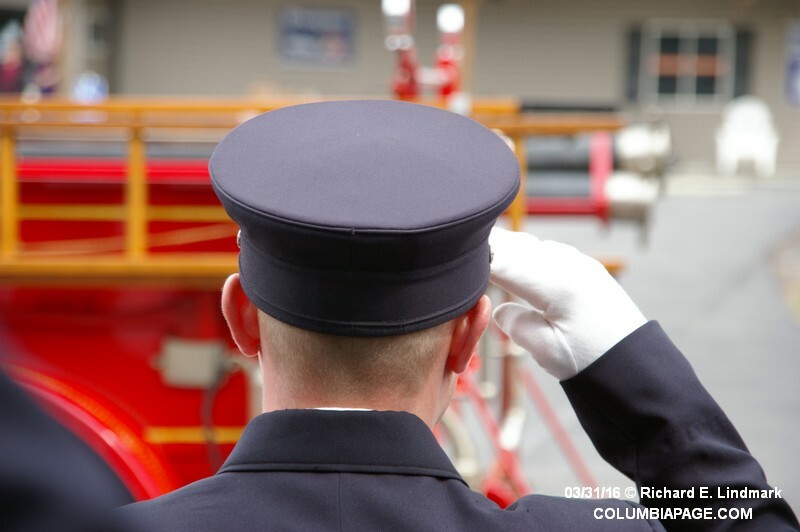 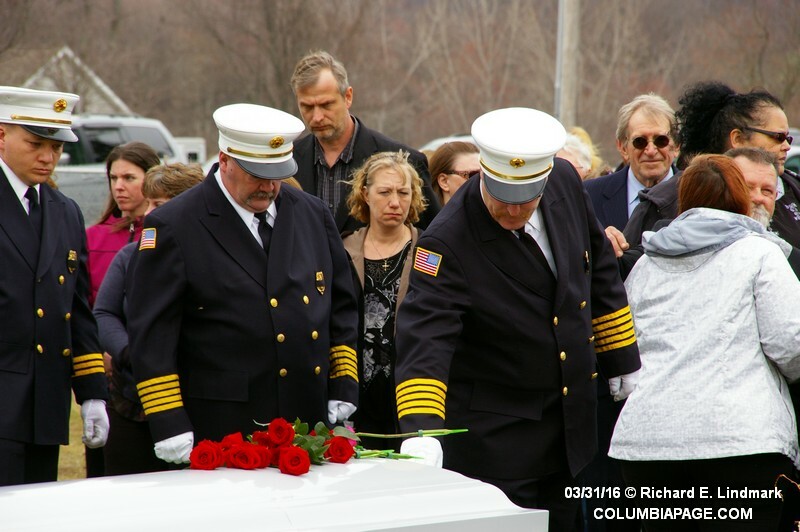 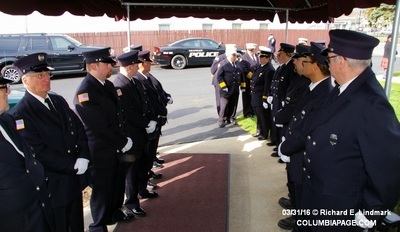 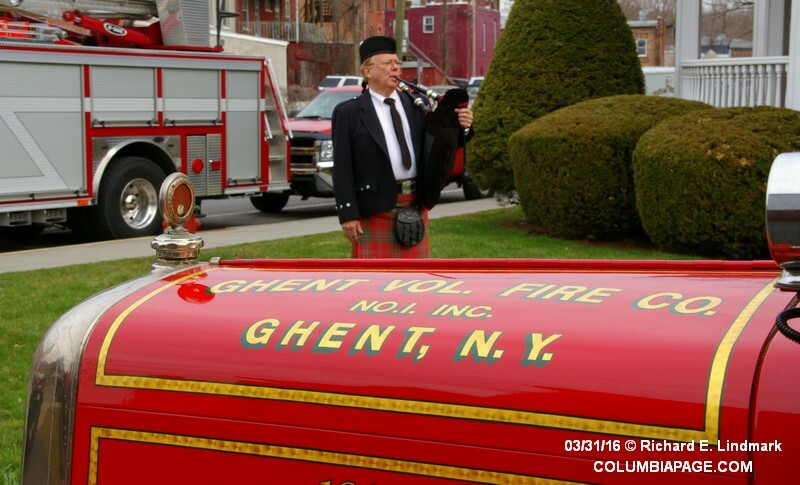 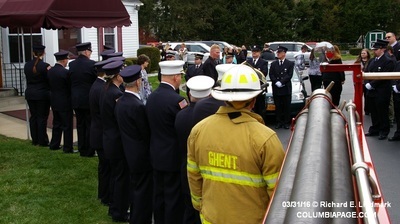 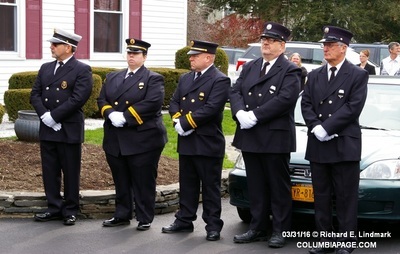 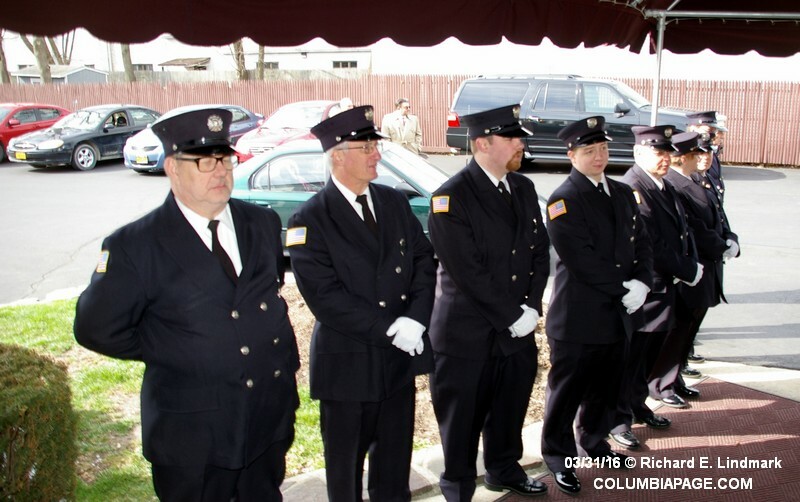 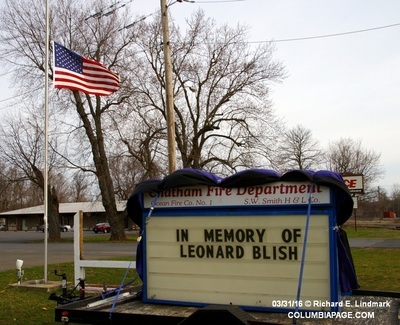 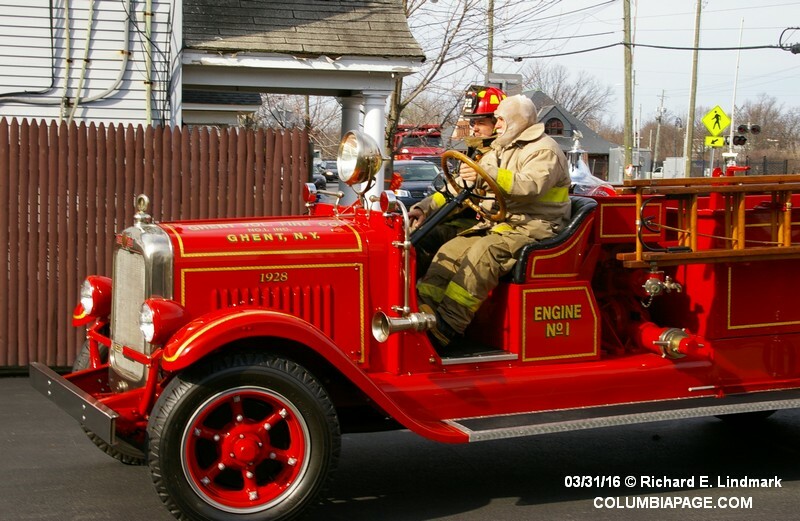 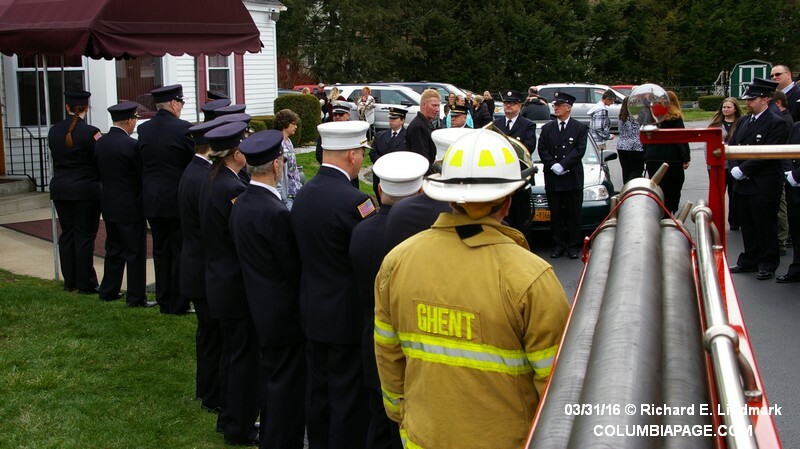 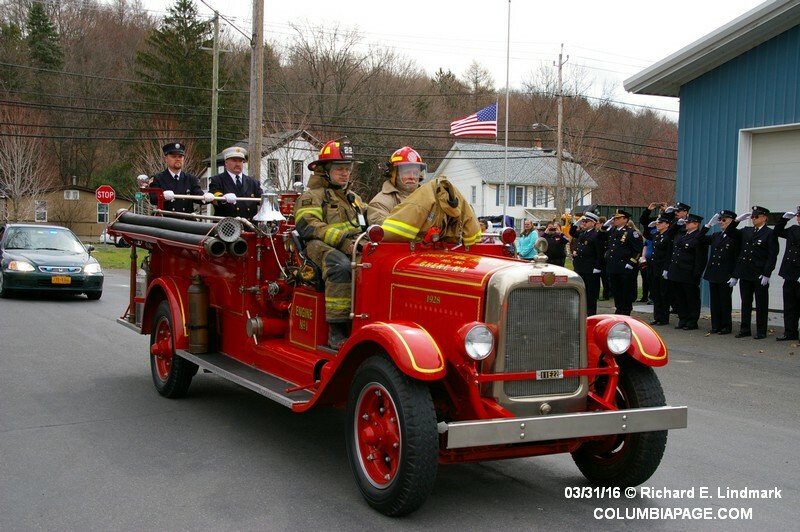 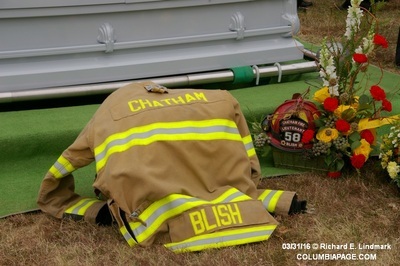 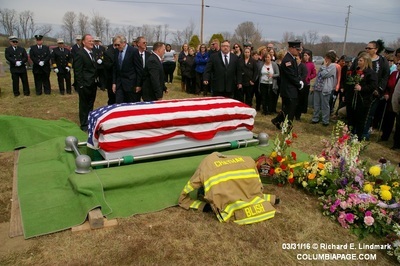 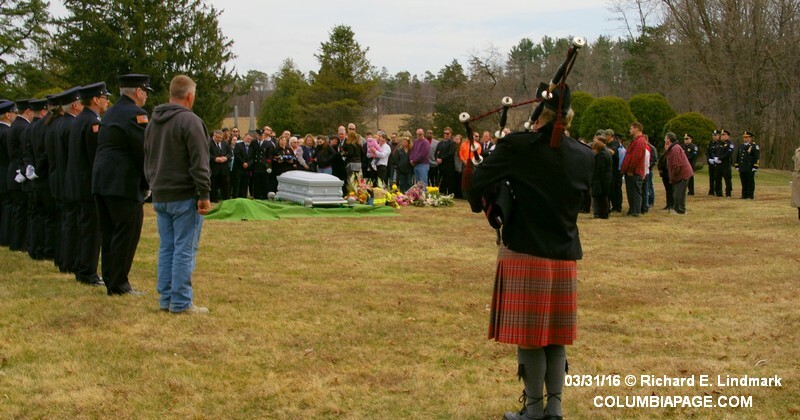 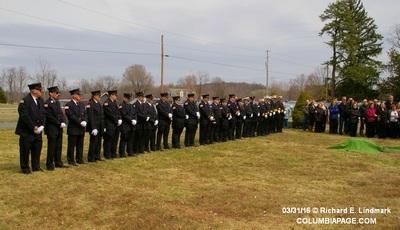 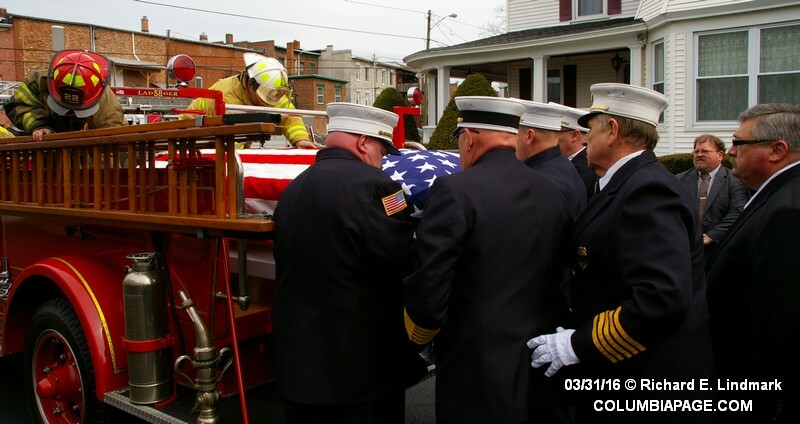 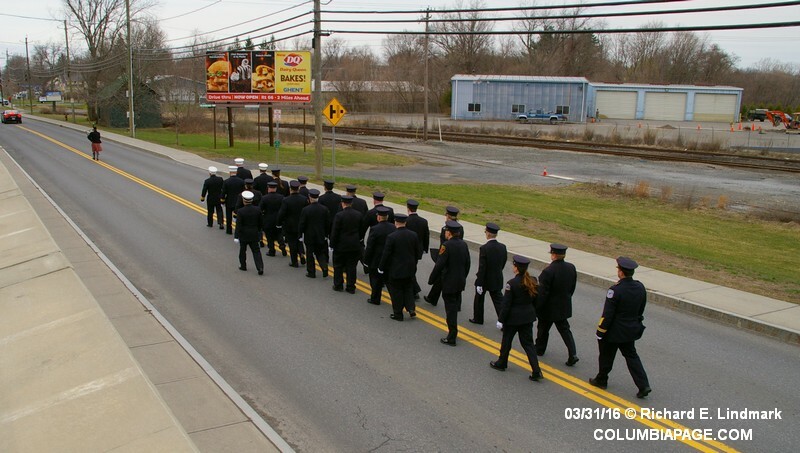 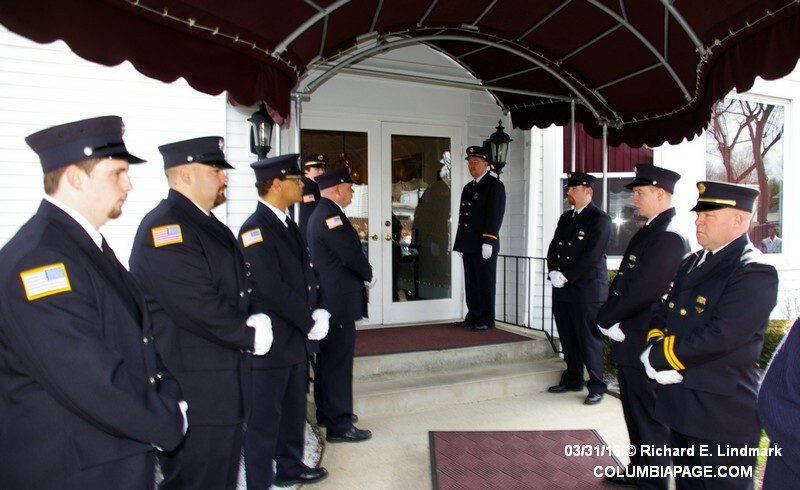 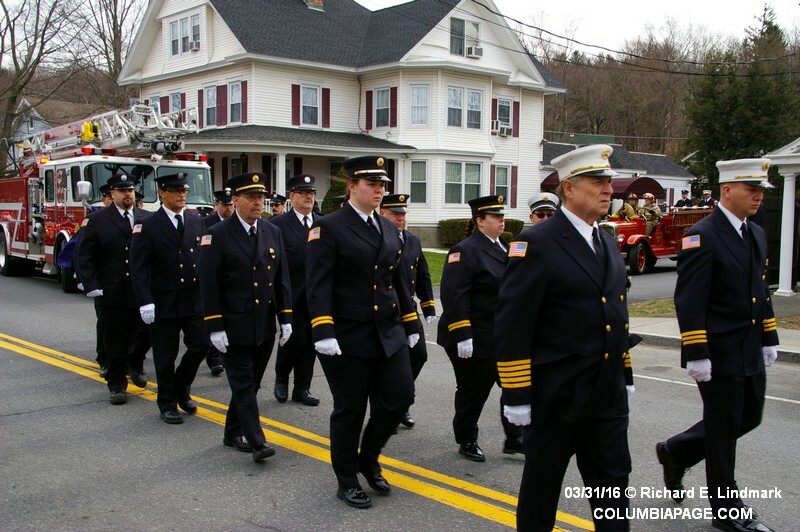 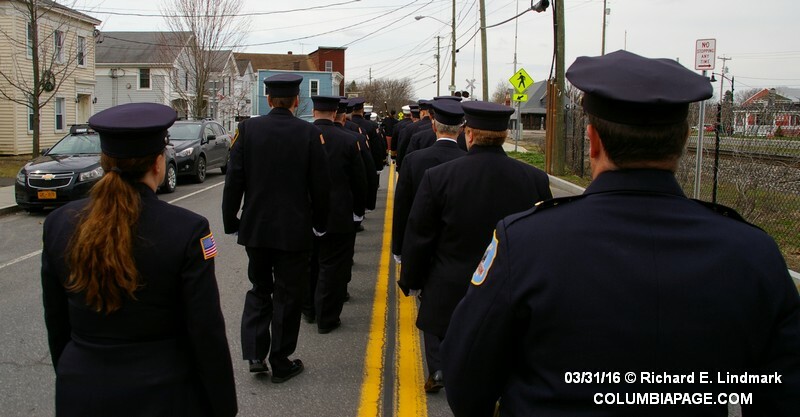 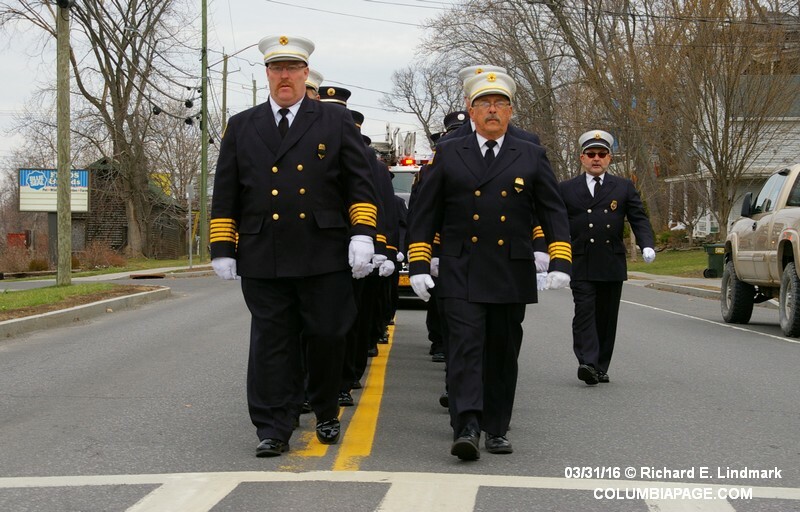 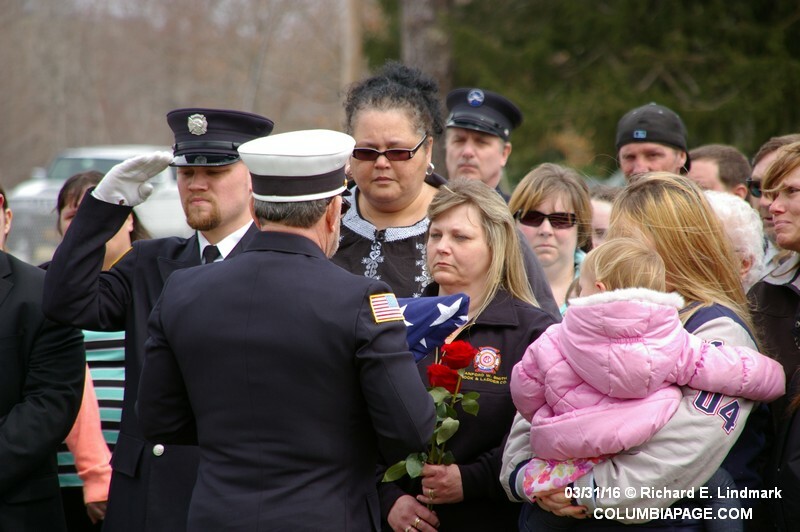 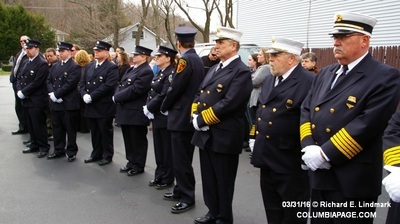 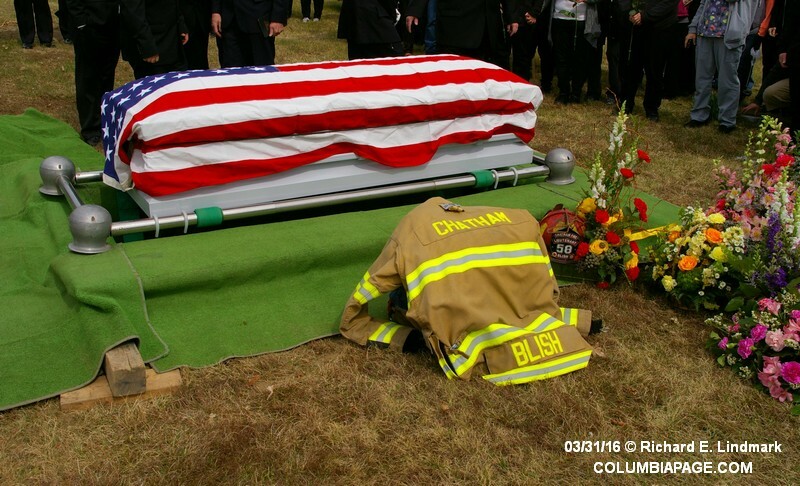 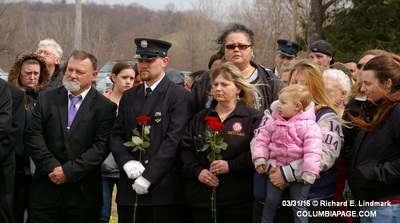 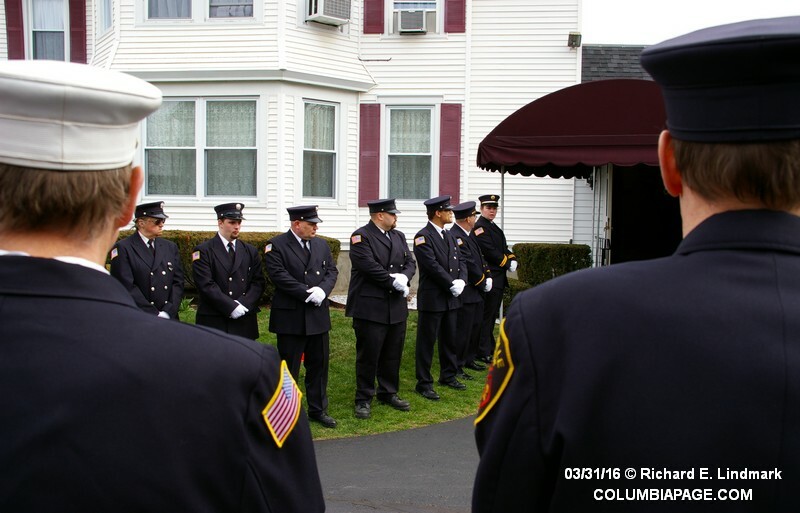 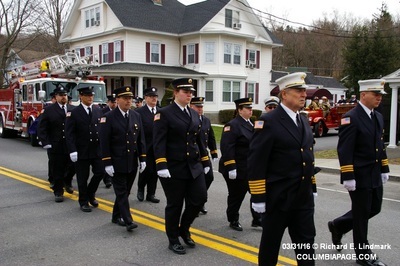 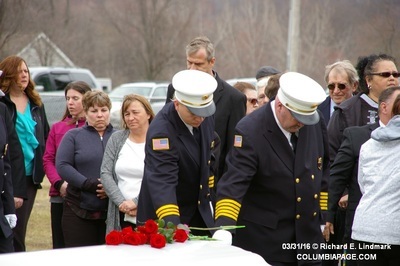 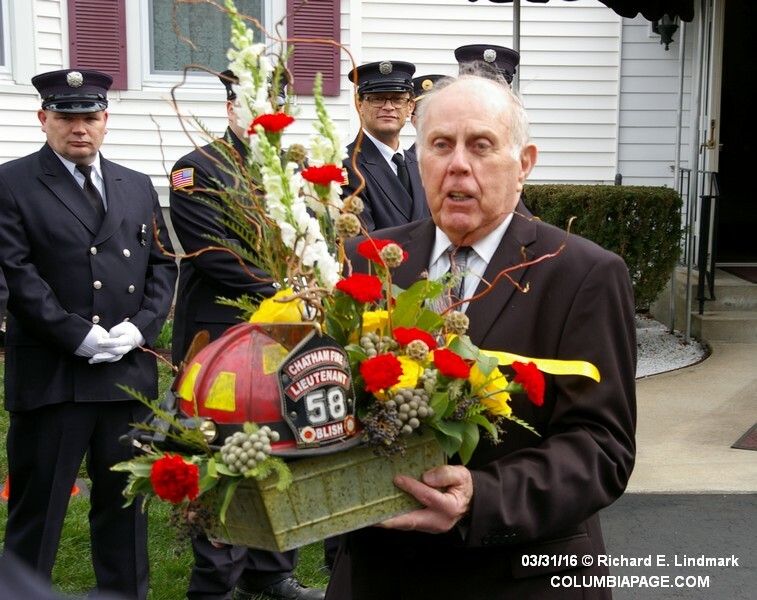 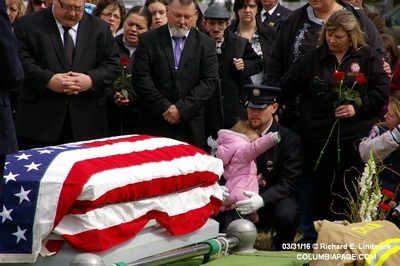 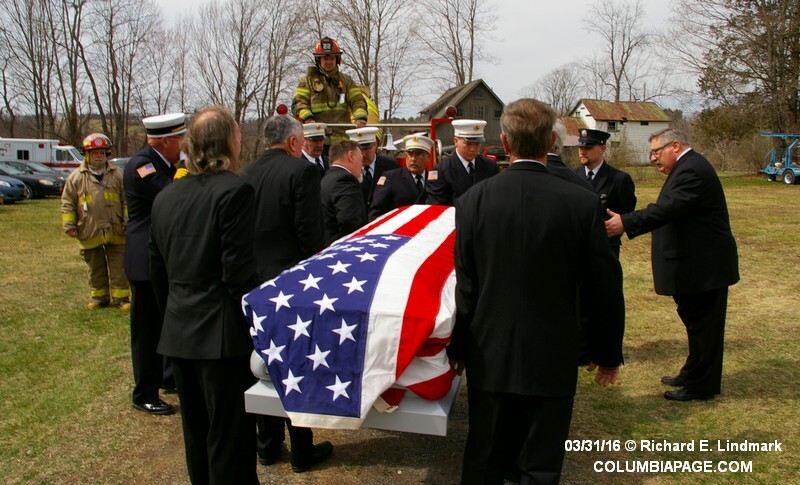 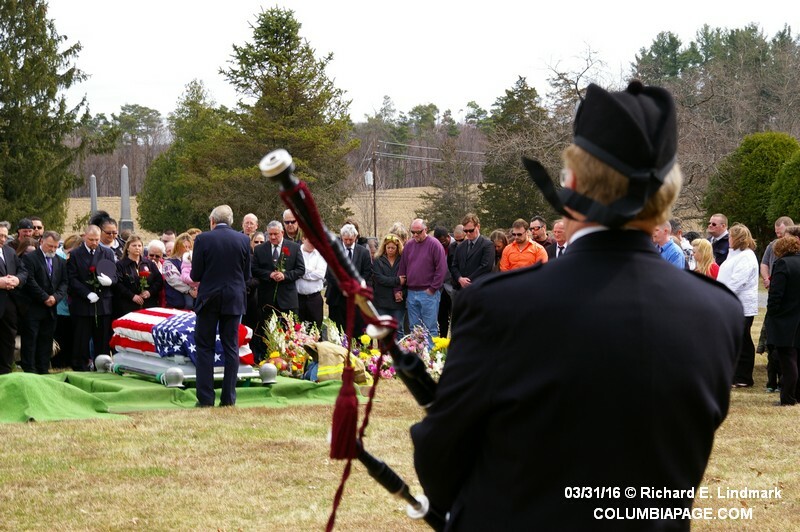 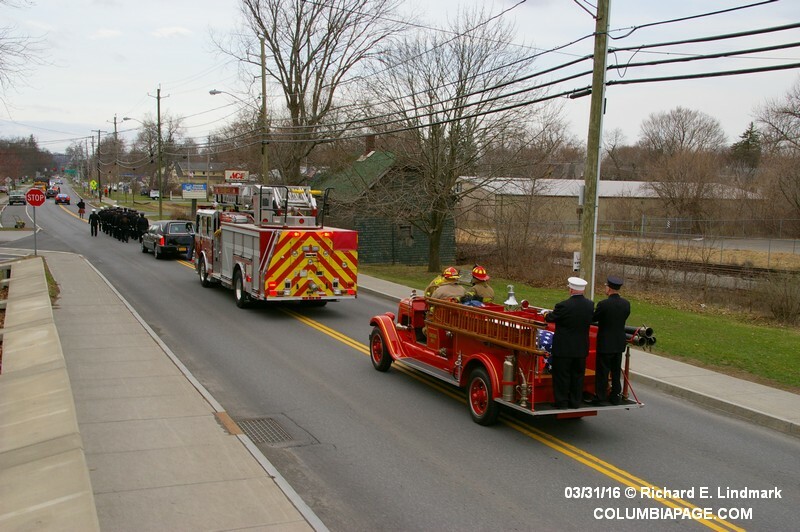 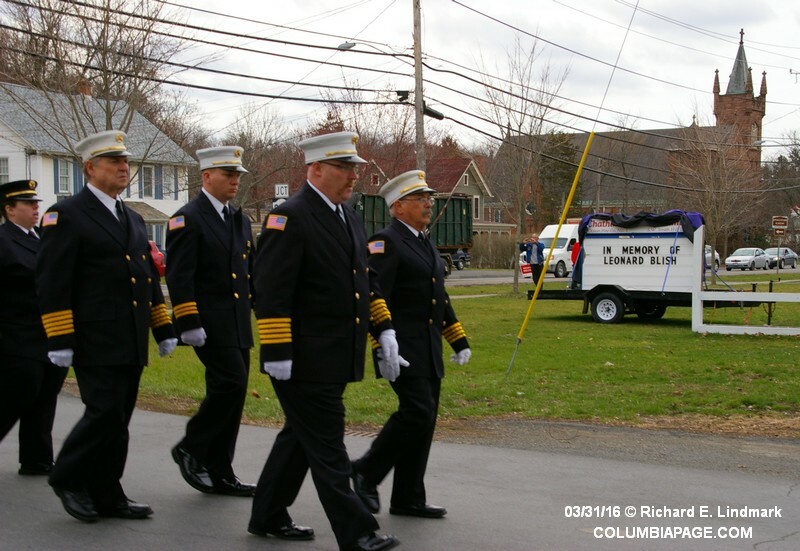 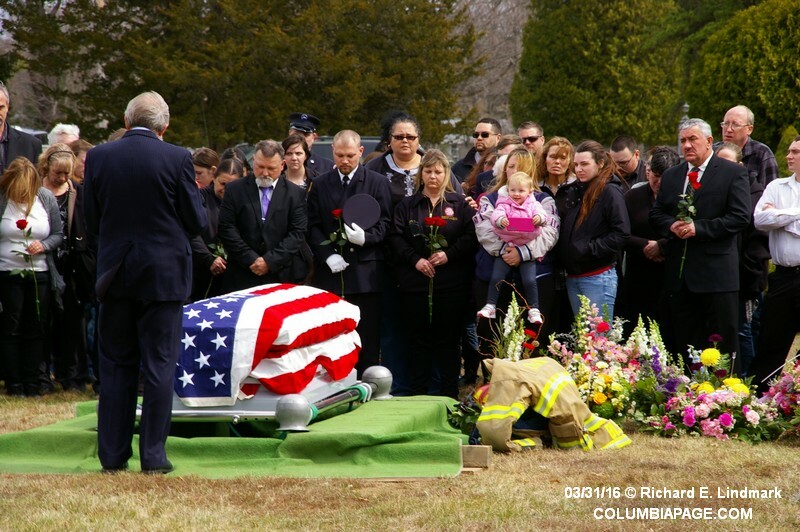 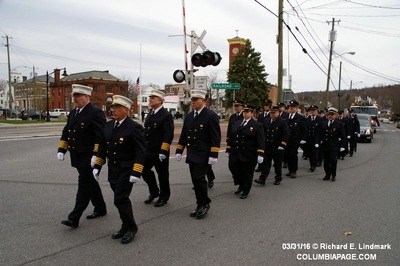 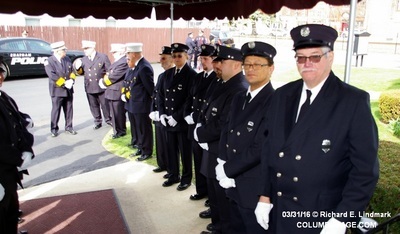 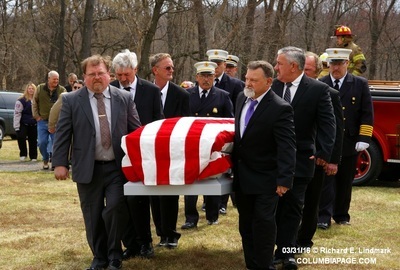 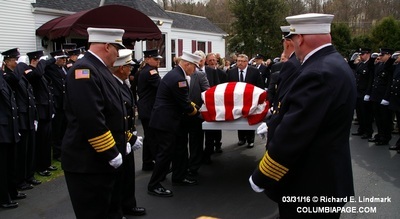 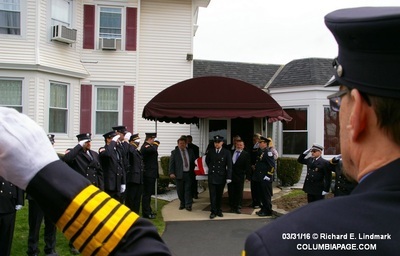 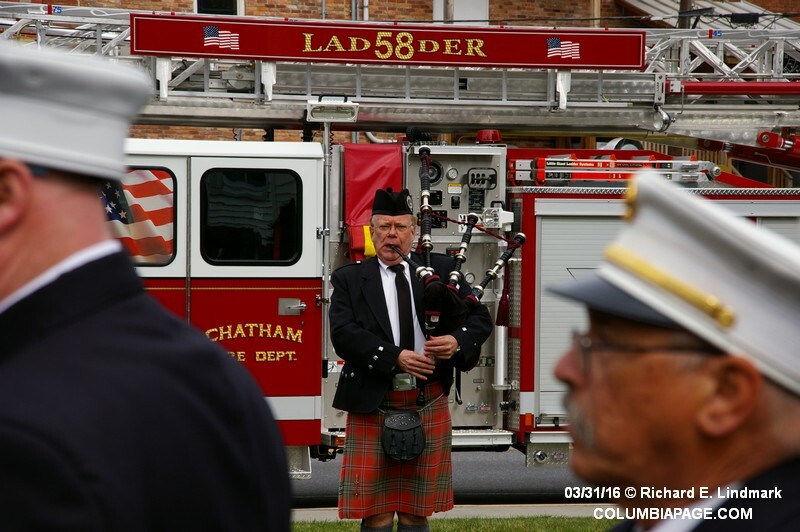 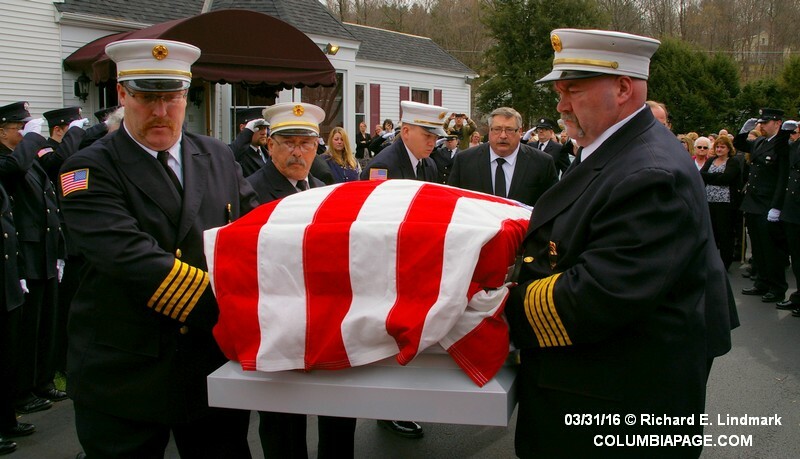 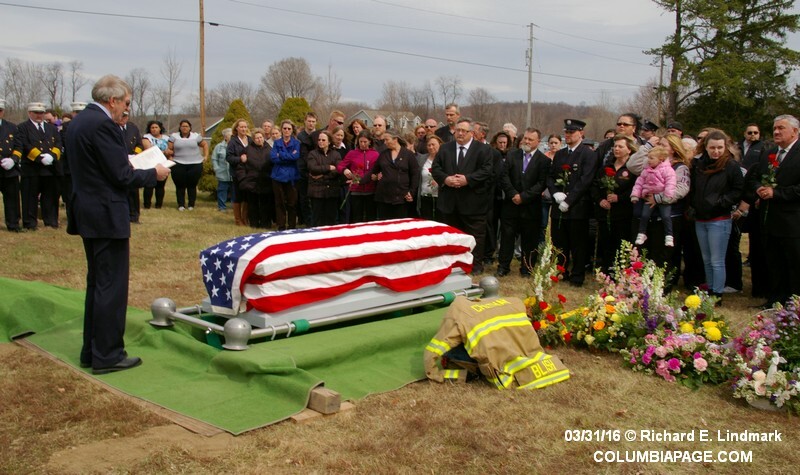 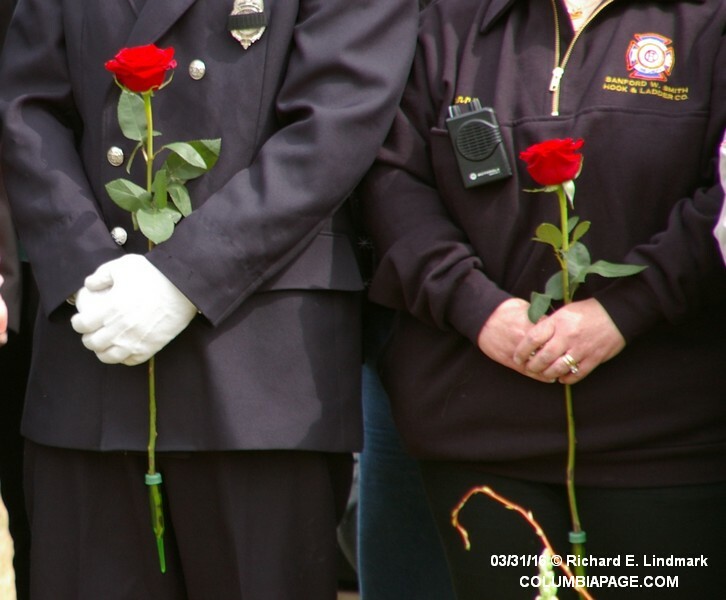 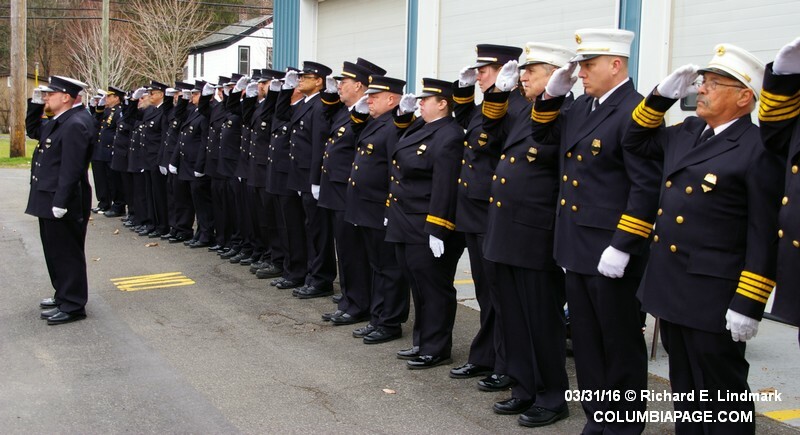 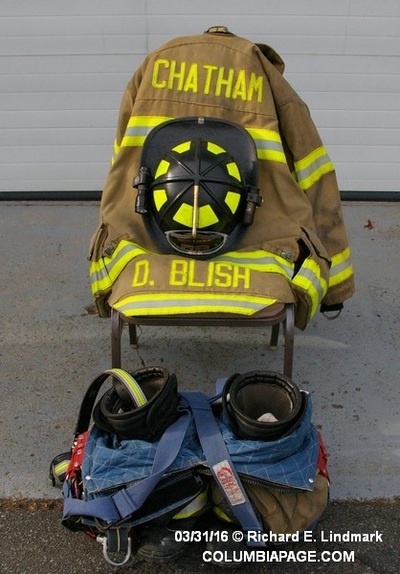 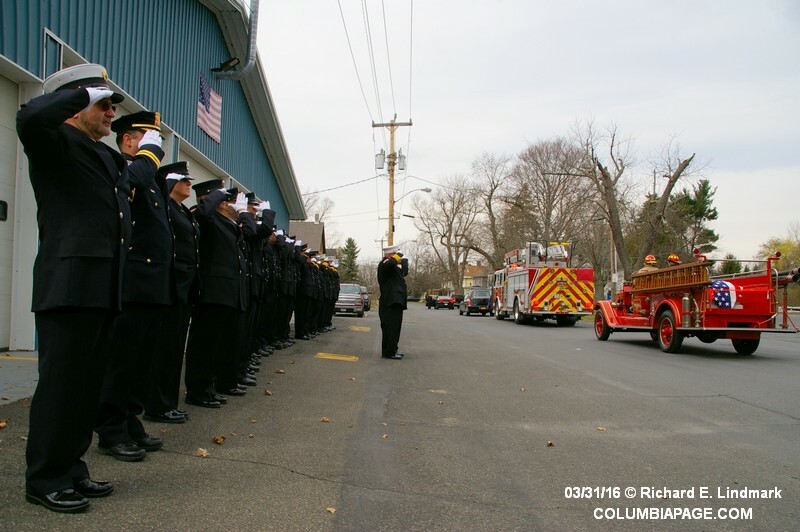 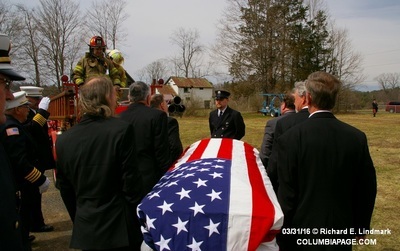 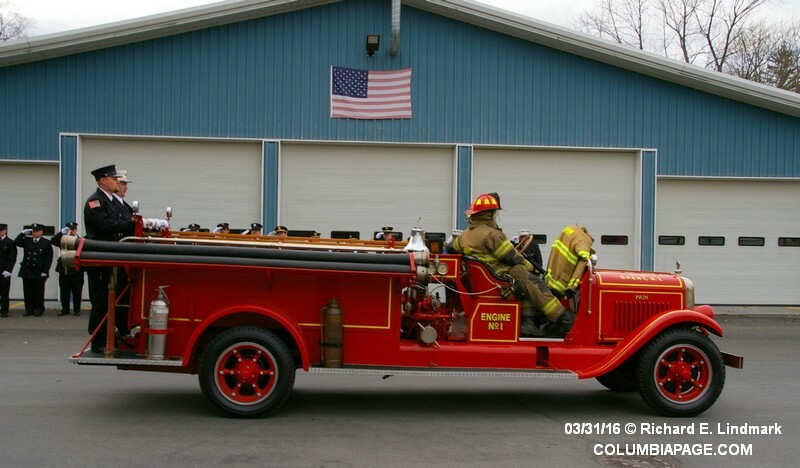 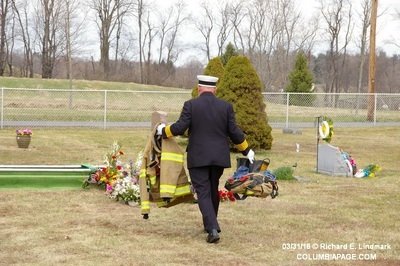 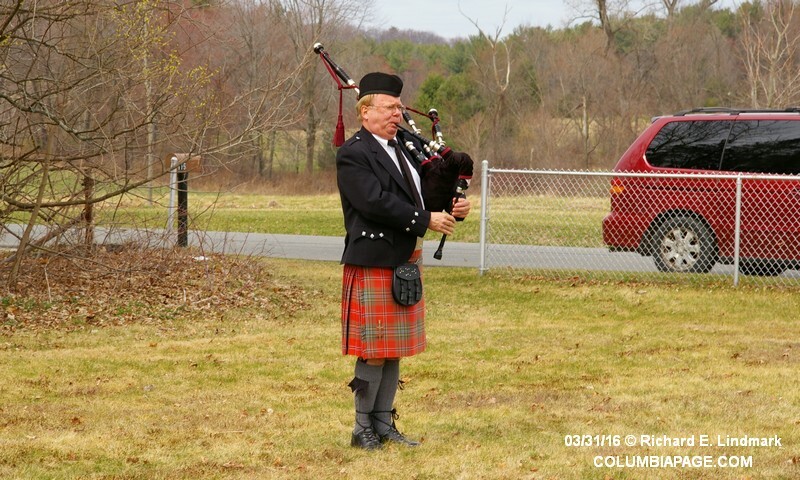 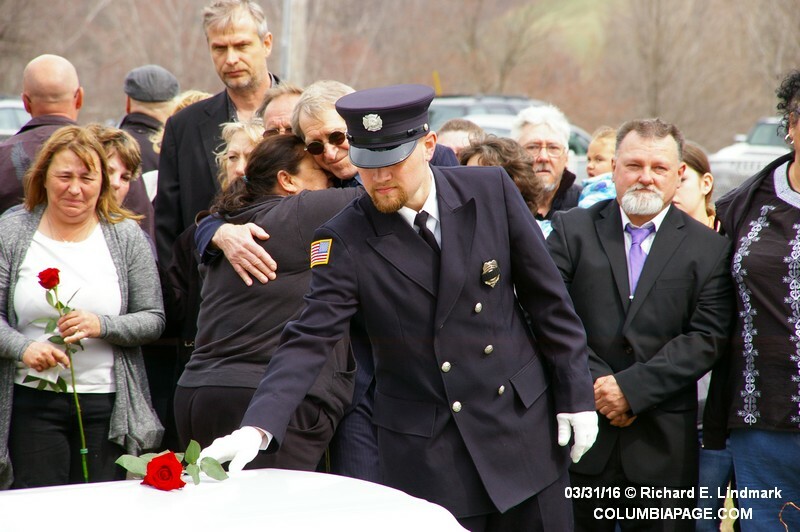 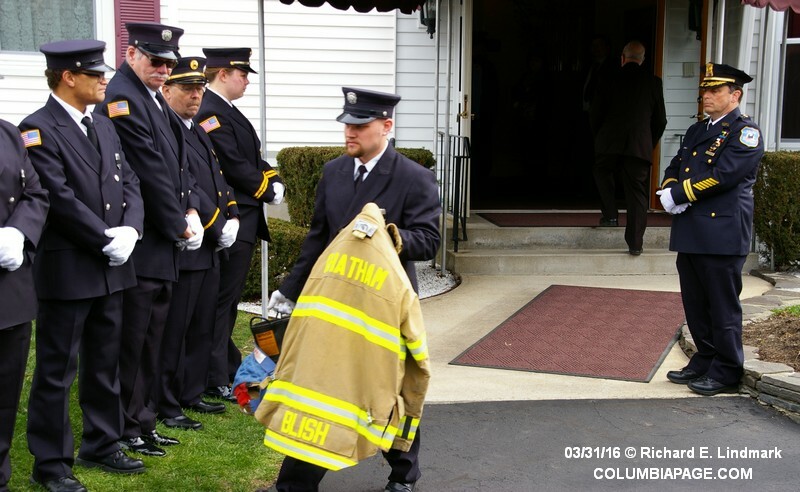 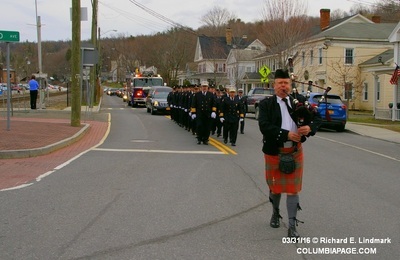 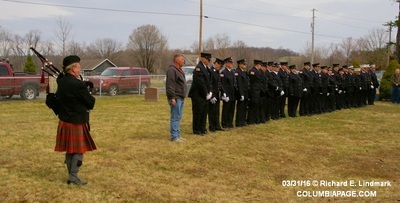 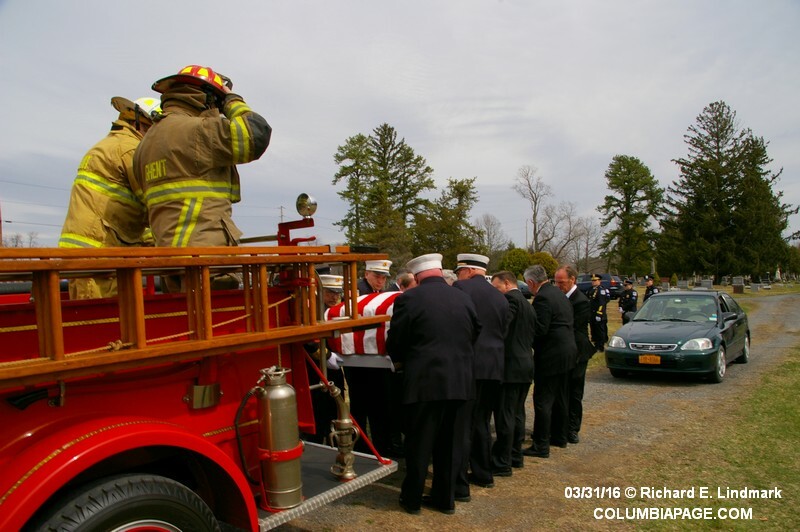 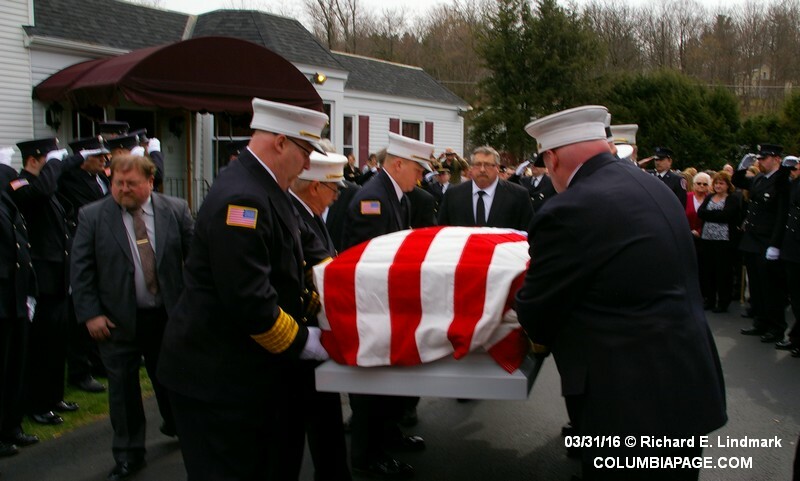 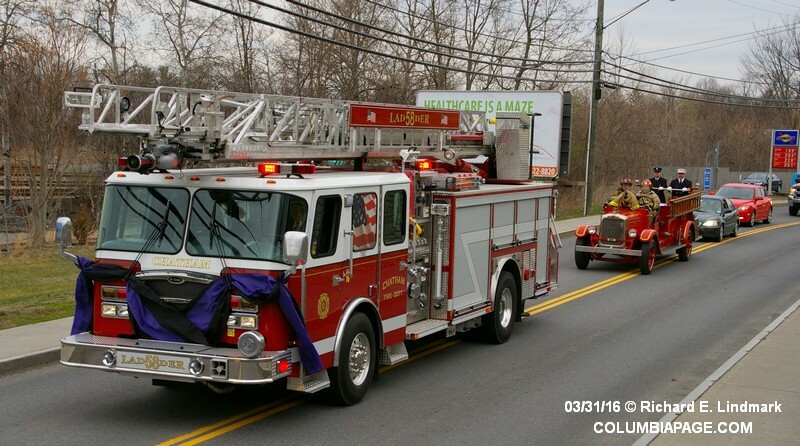 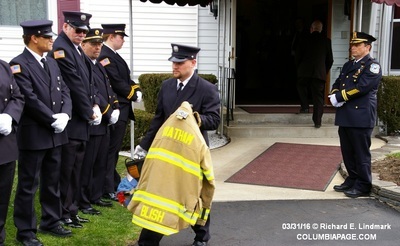 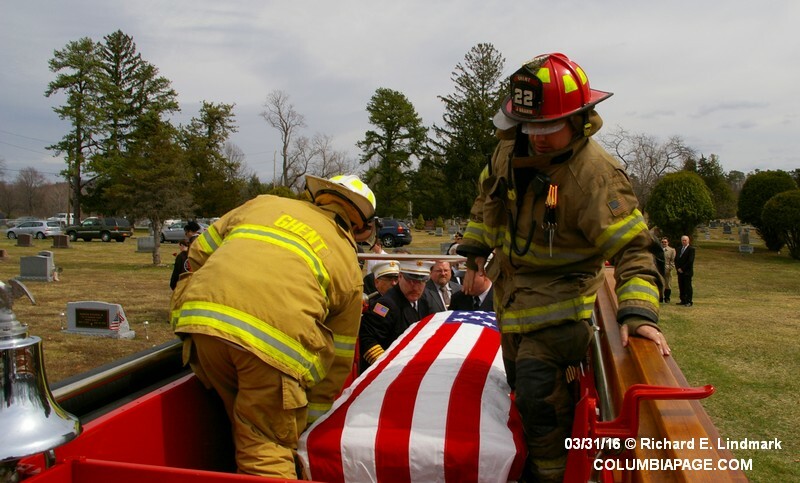 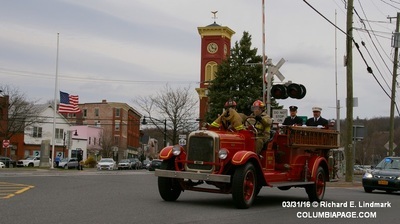 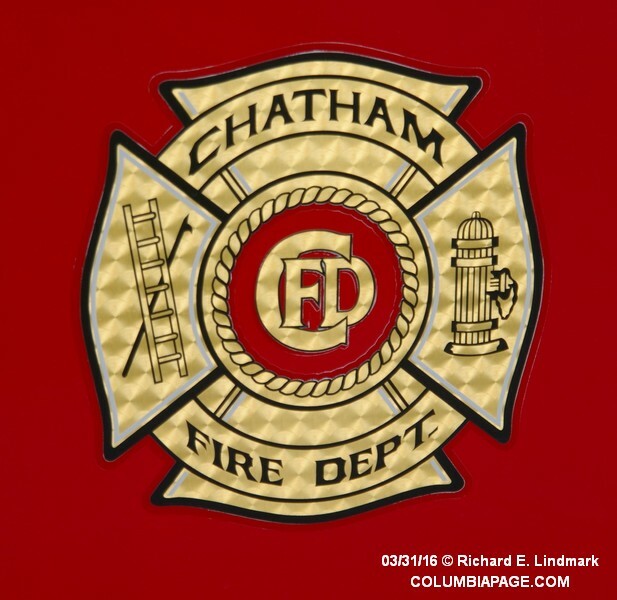 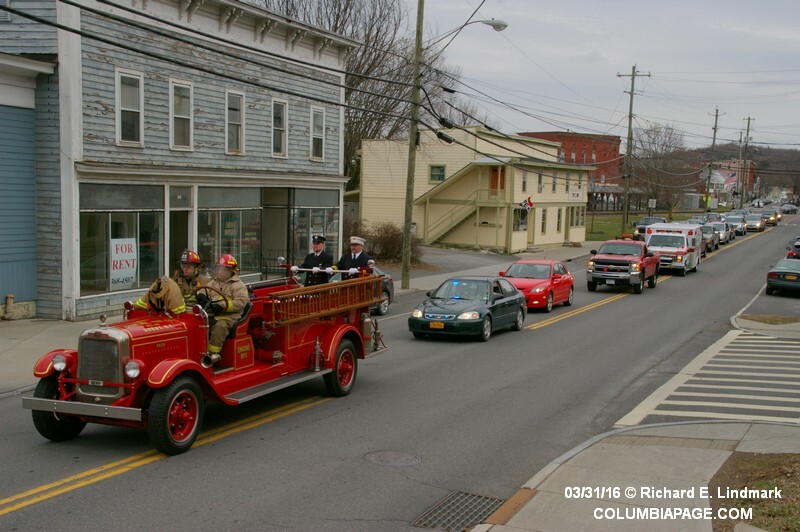 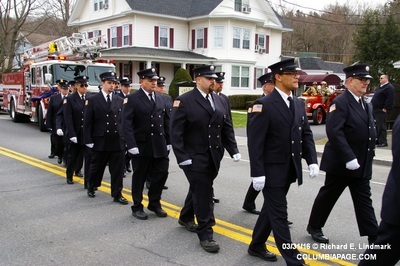 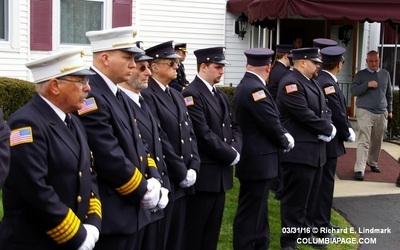 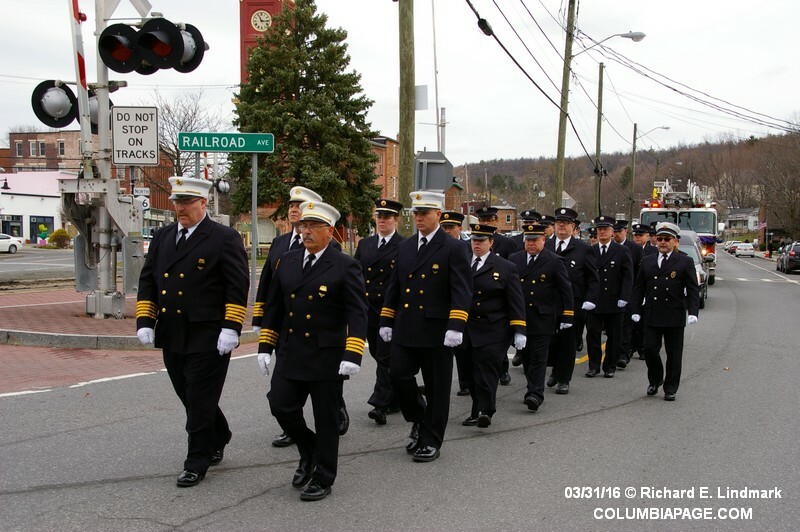 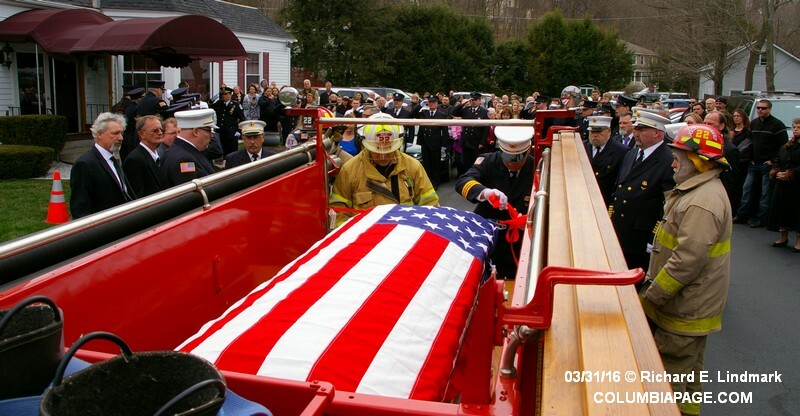 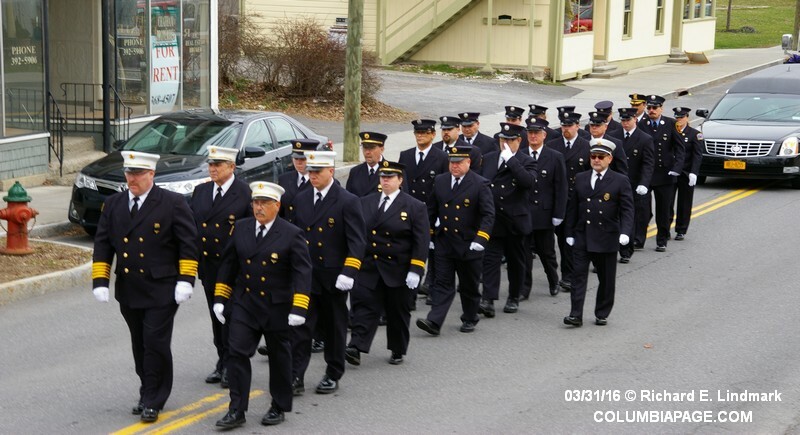 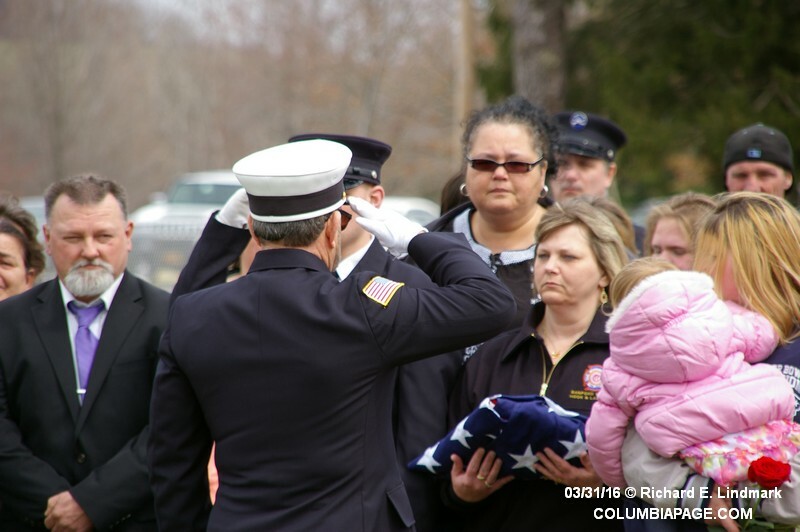 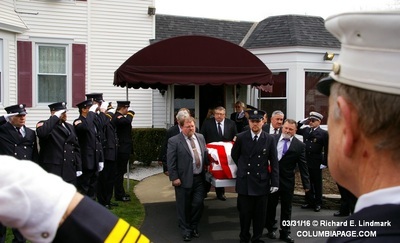 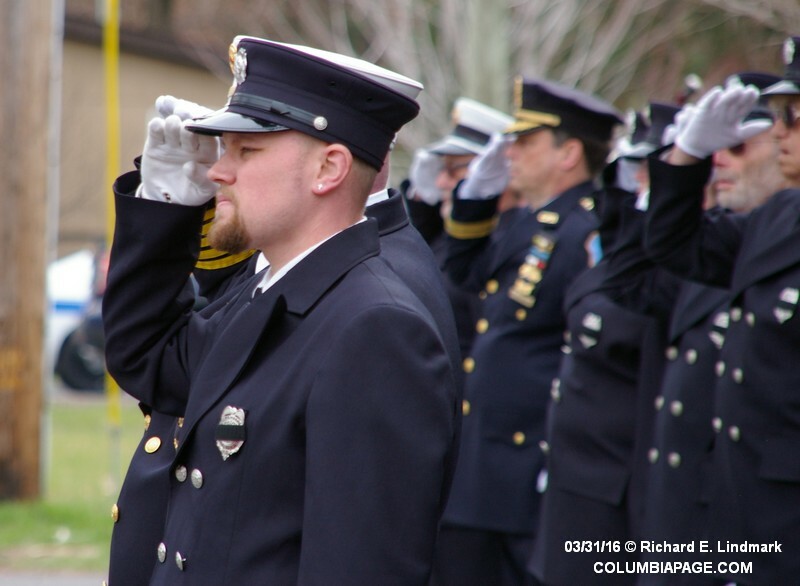 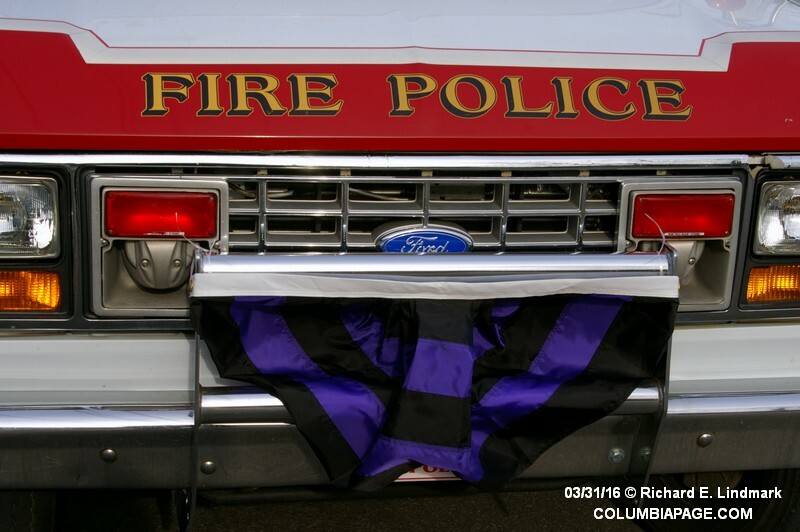 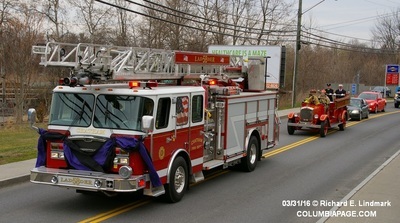 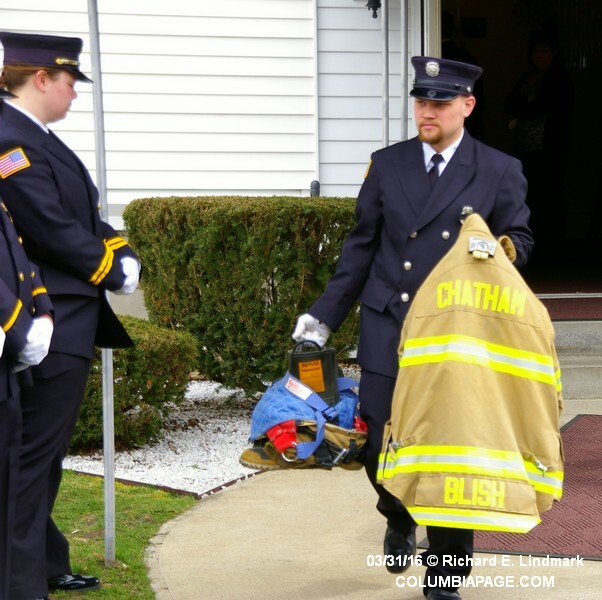 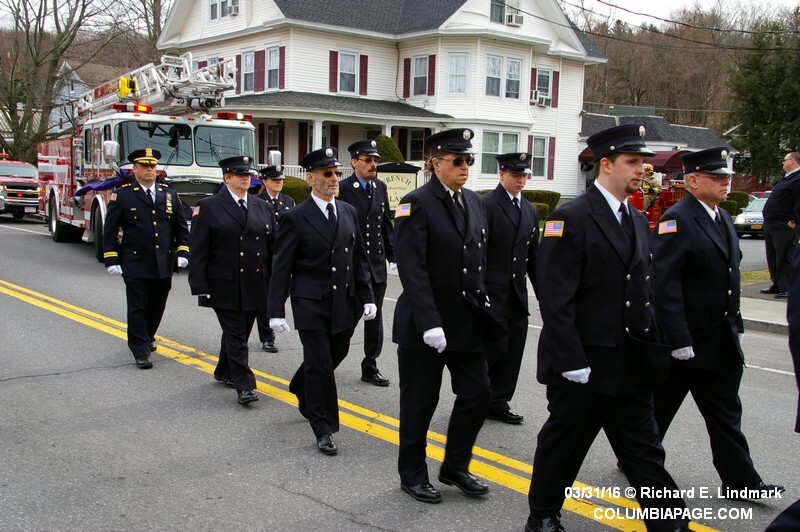 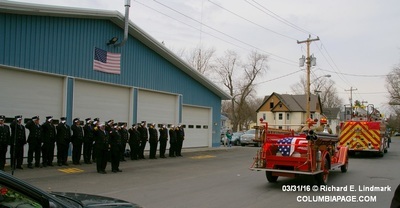 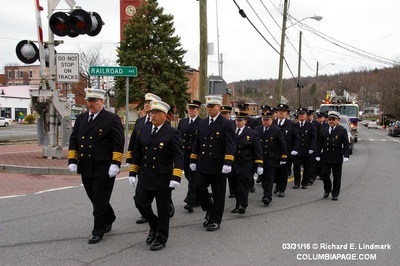 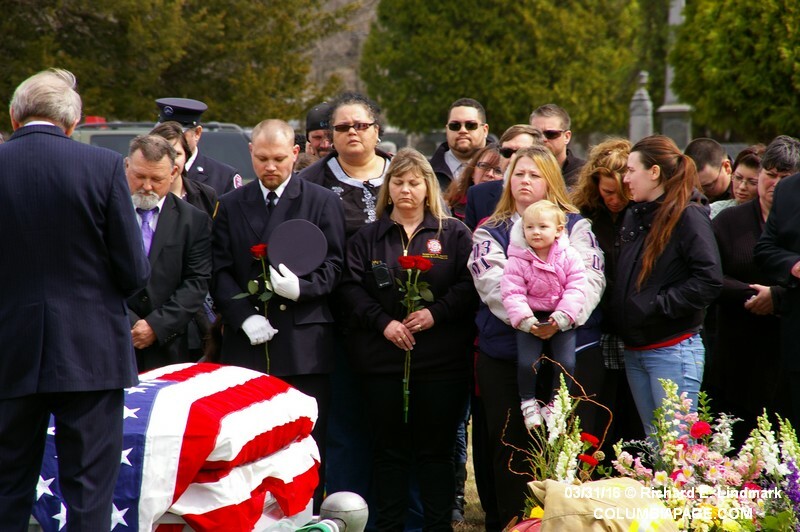 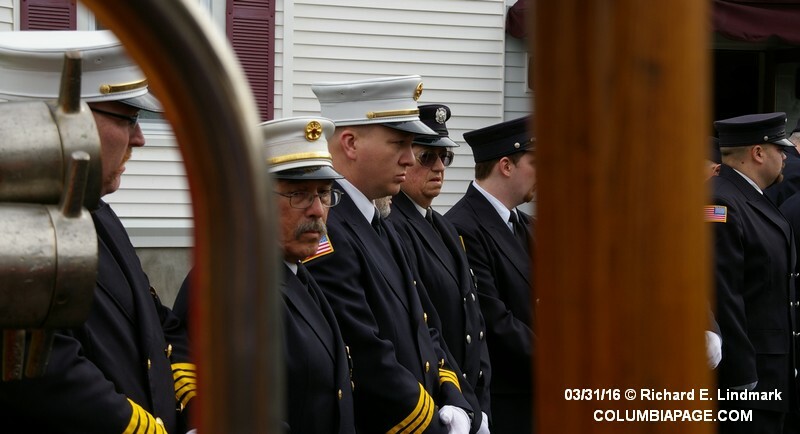 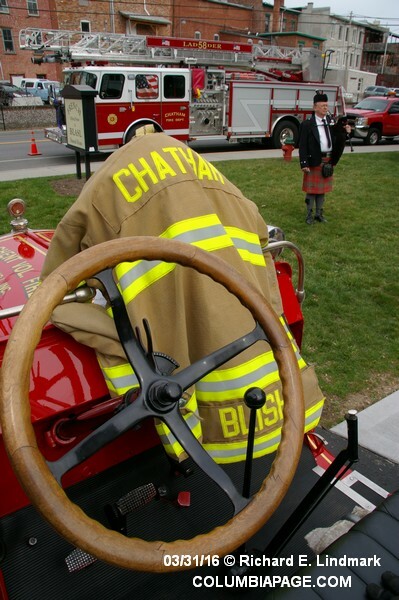 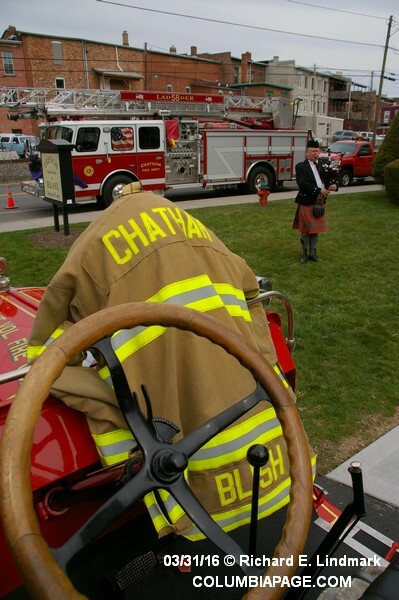 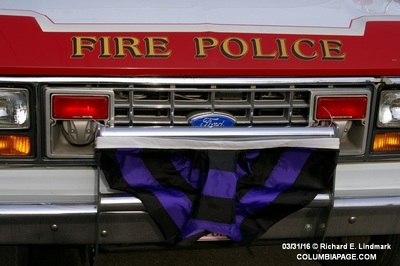 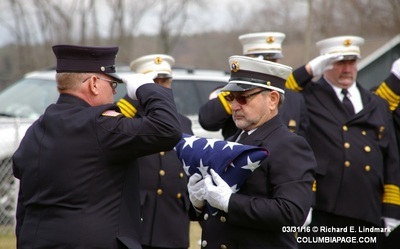 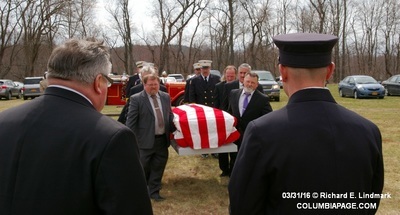 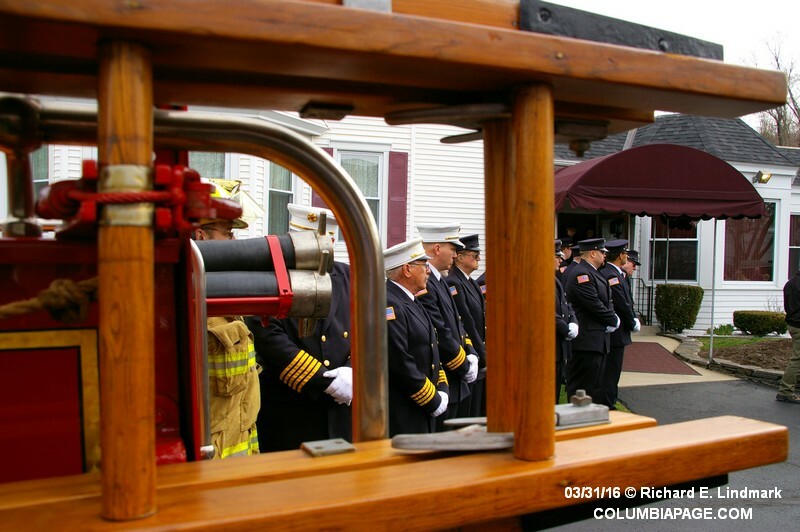 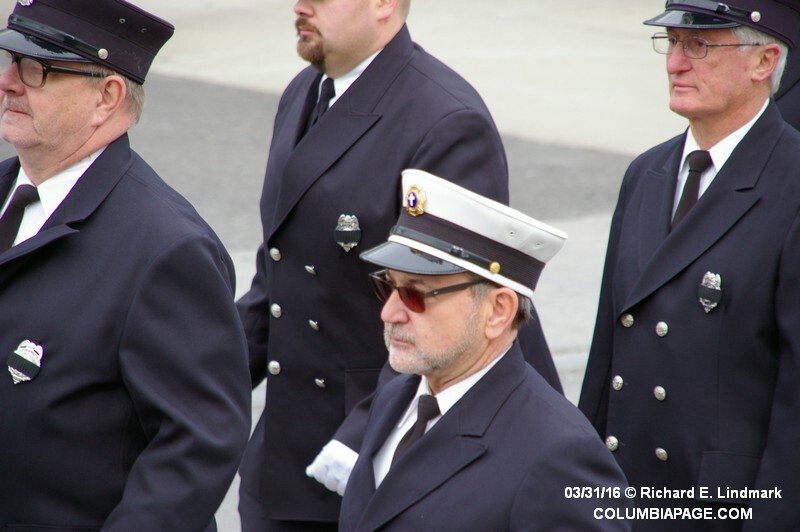 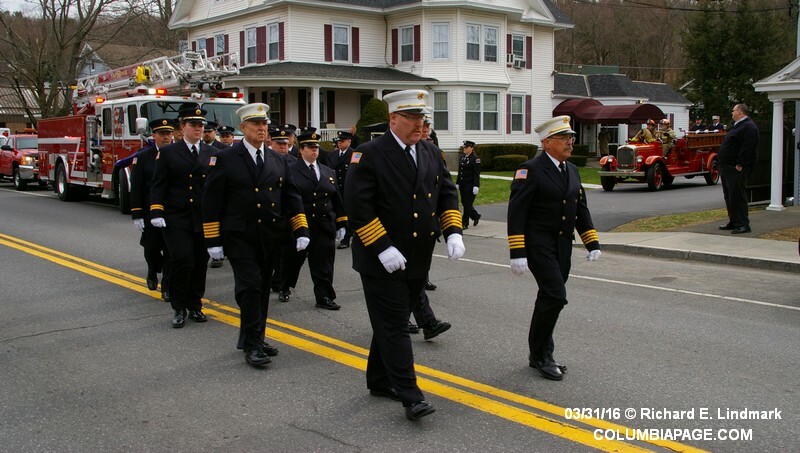 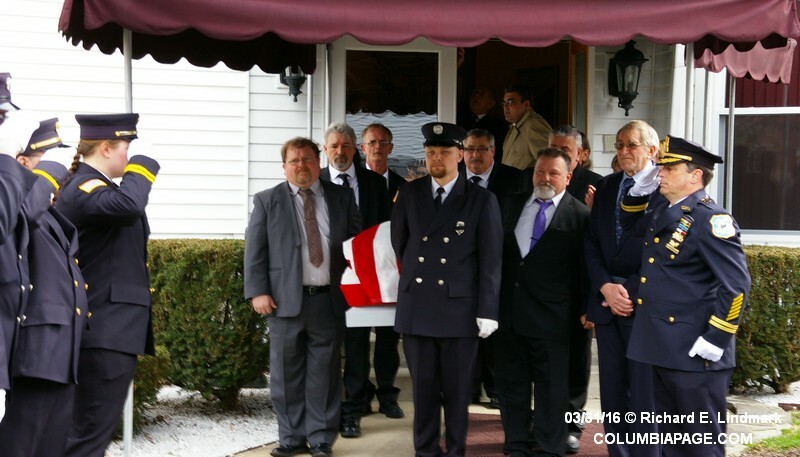 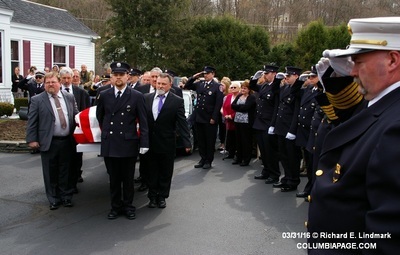 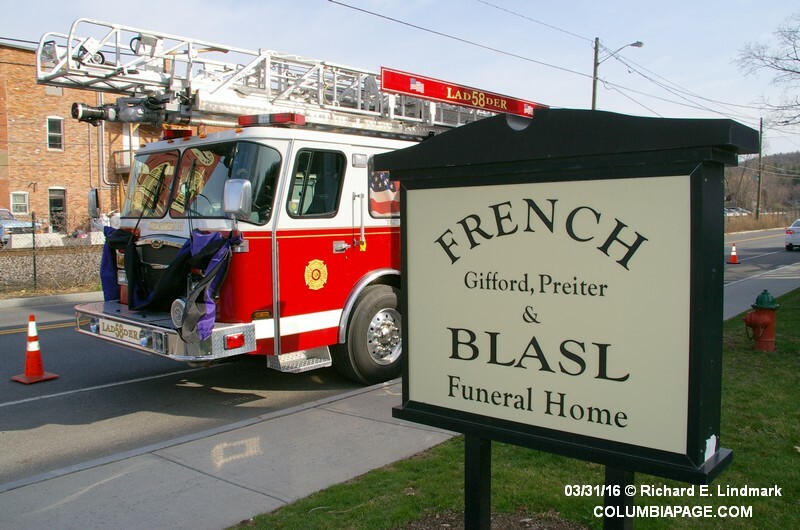 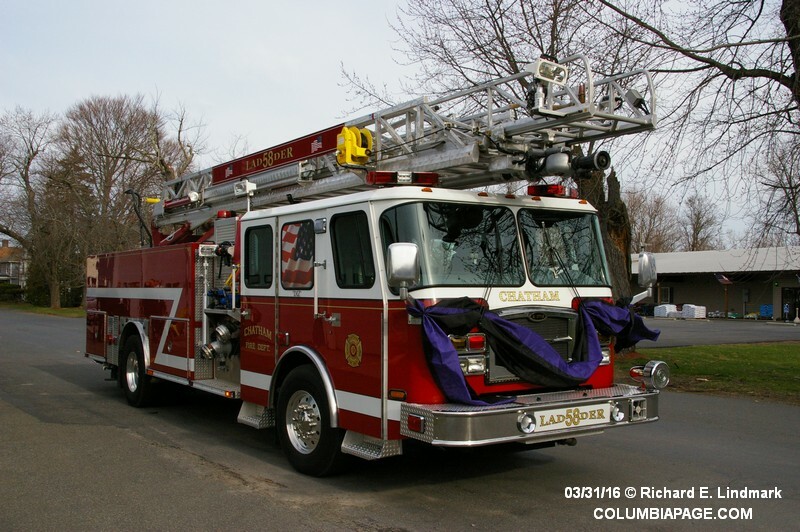 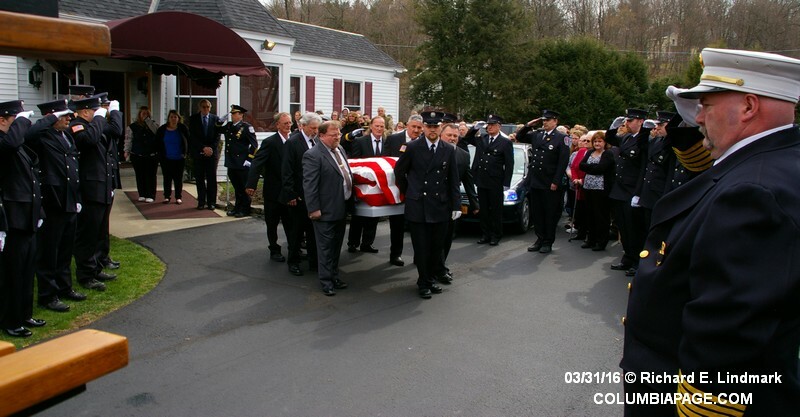 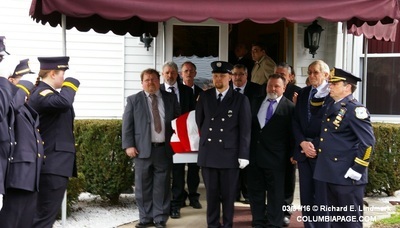 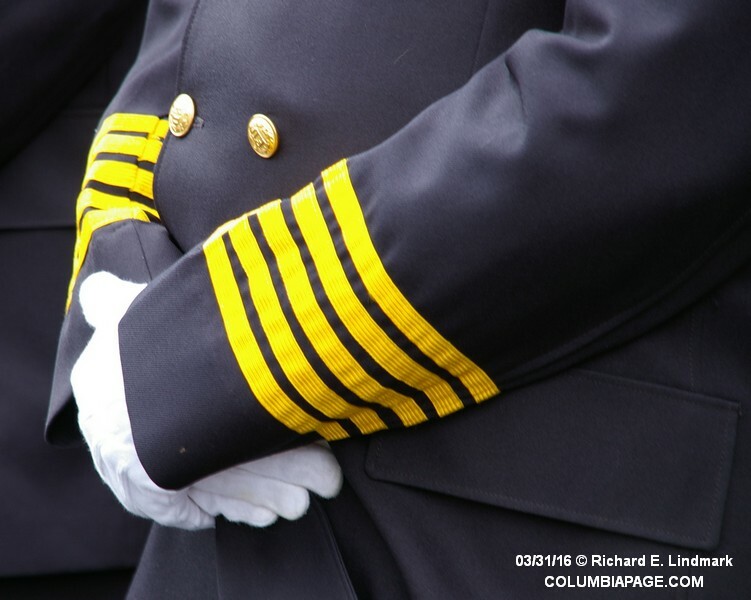 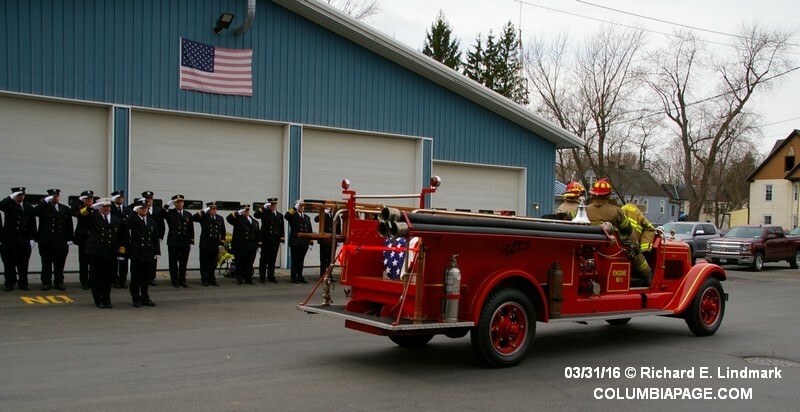 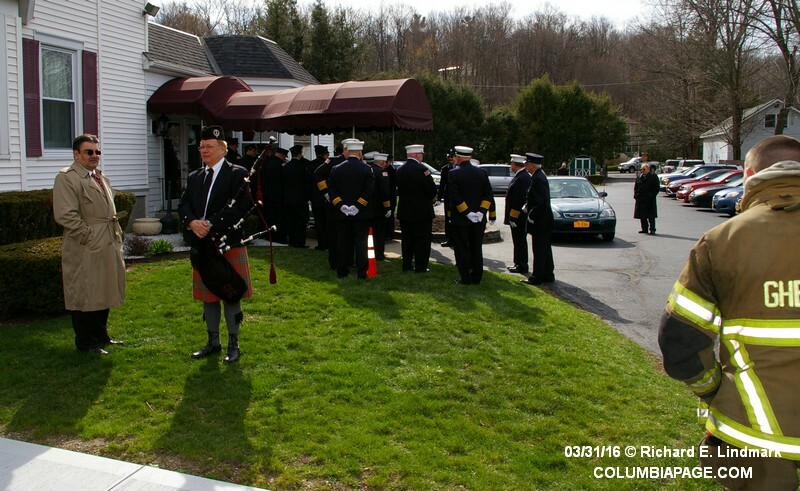 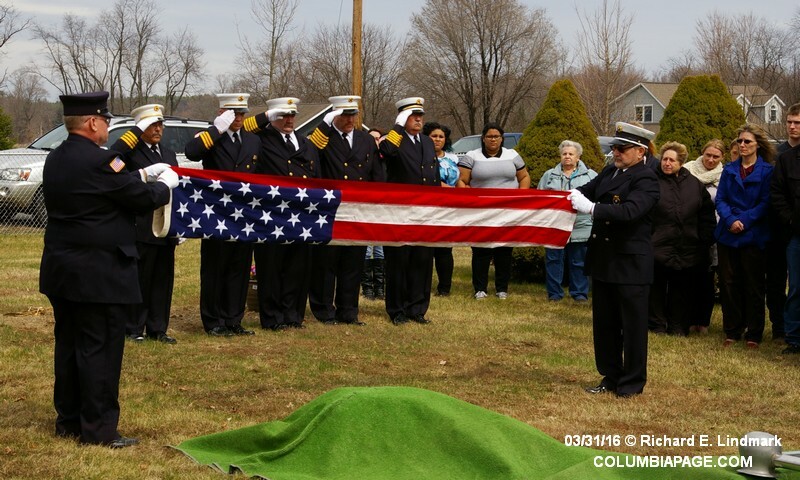 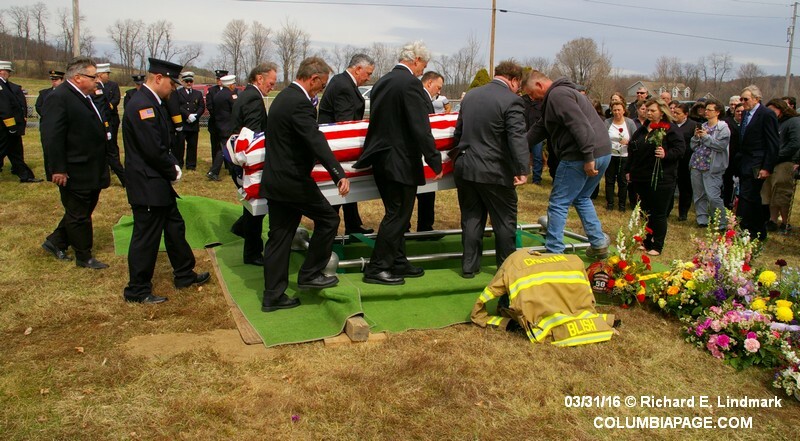 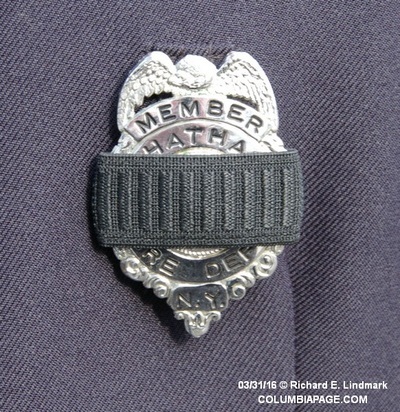 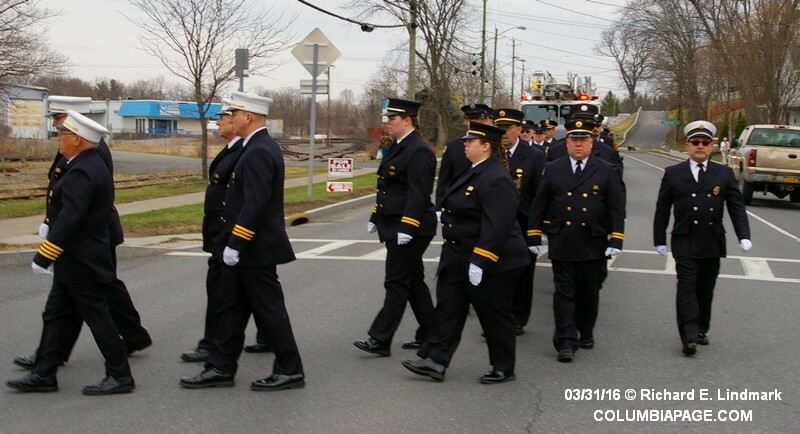 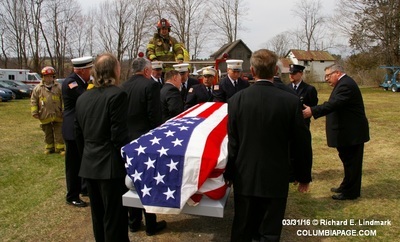 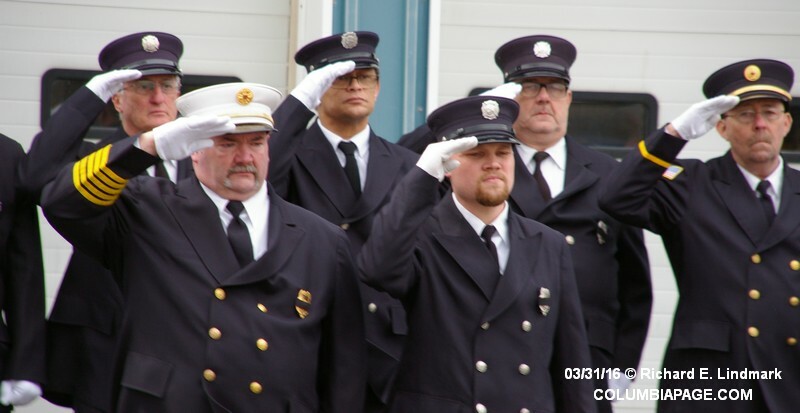 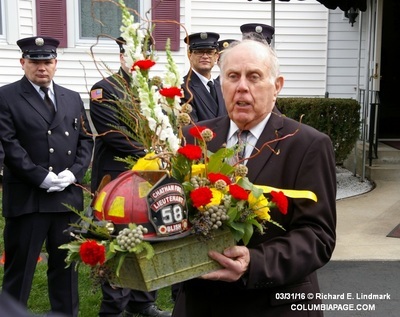 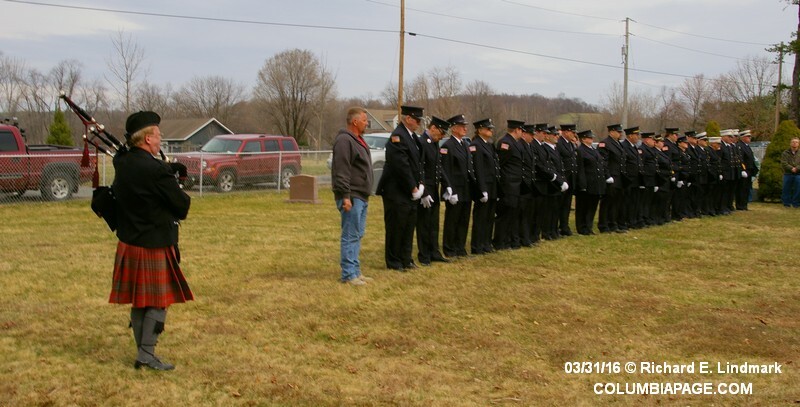 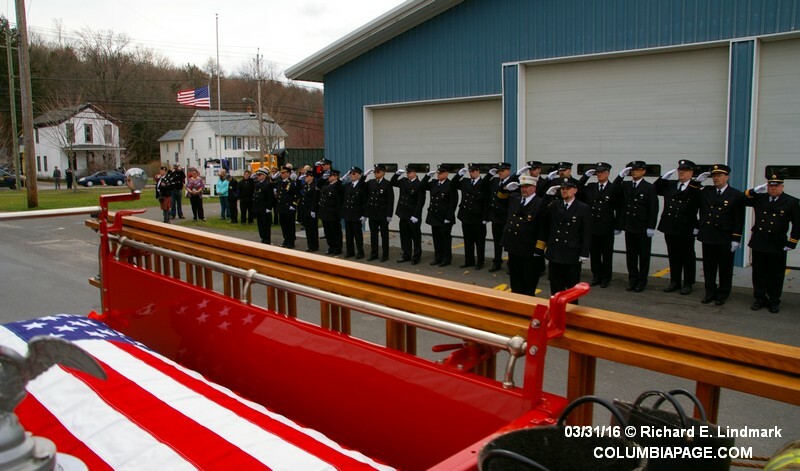 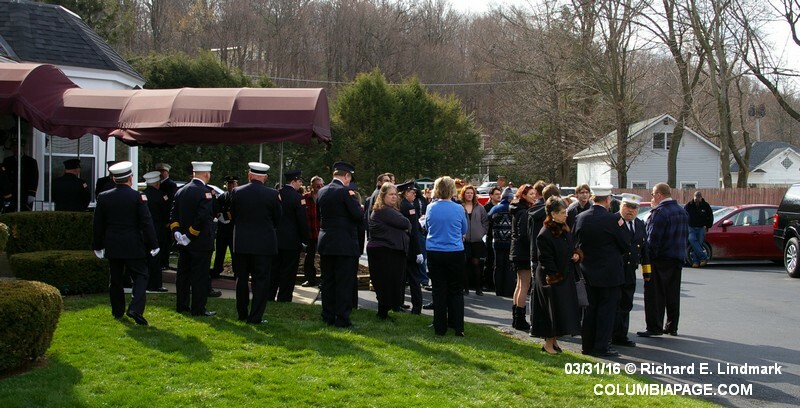 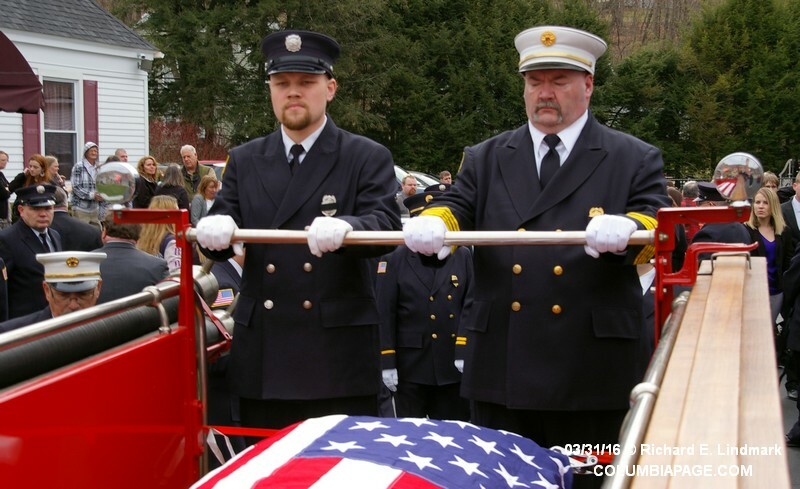 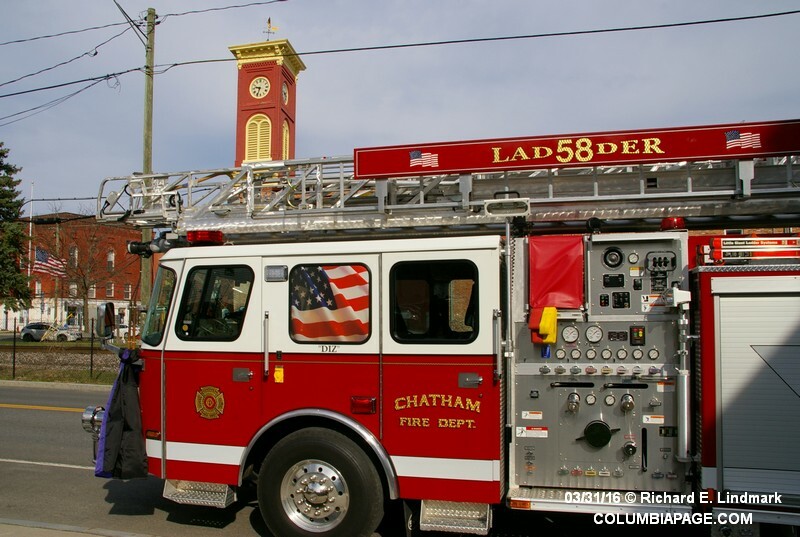 The funeral of Chatham Firefighter and past Lieutenant Leonard A. Blish was held on Thursday March 31, 2016. Services were held the the French, Gifford, Prieter and Blasl Funeral Home on Railroad Avenue in the Village of Chatham. 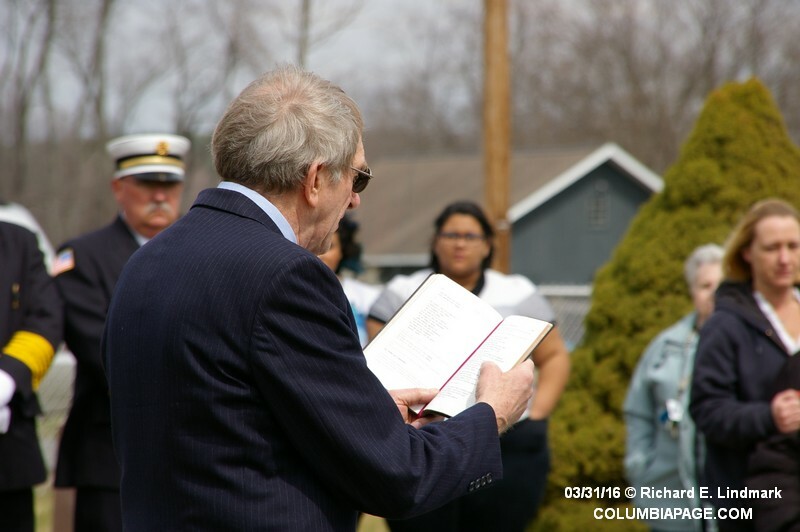 The service was lead by Chatham United Methodist Church Pastor Carl Franson. 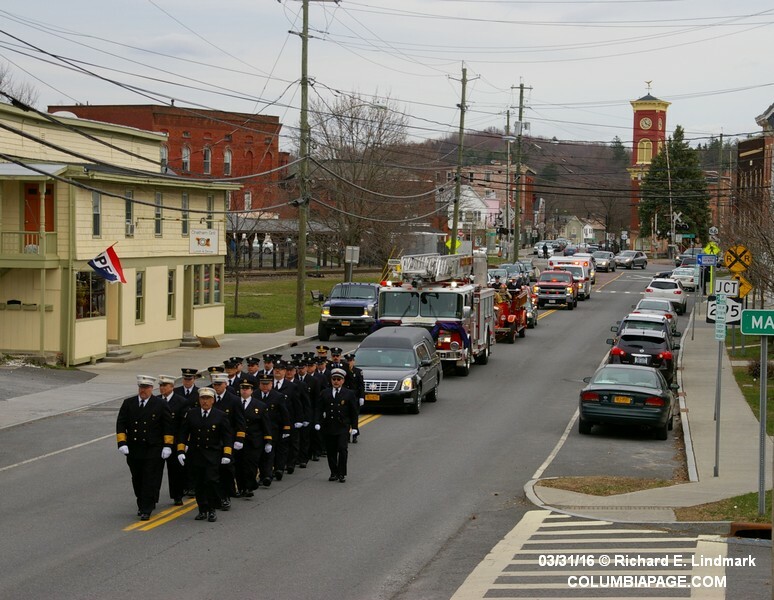 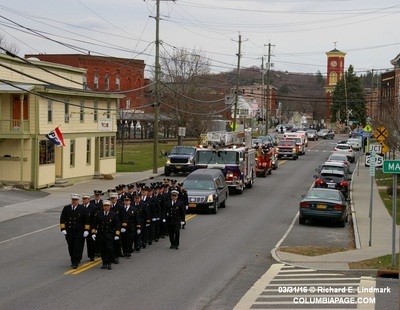 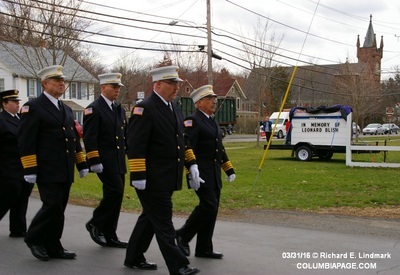 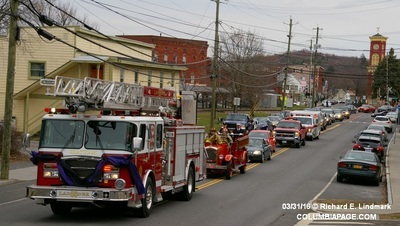 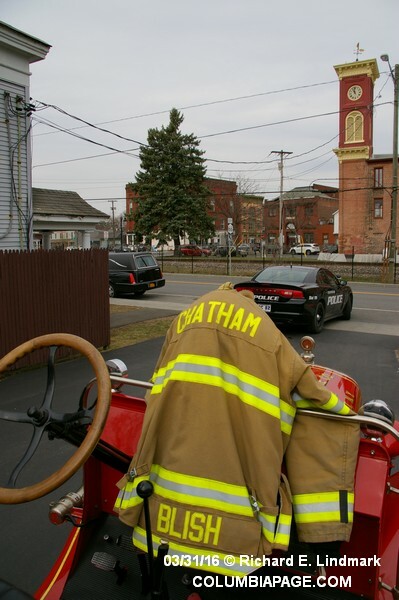 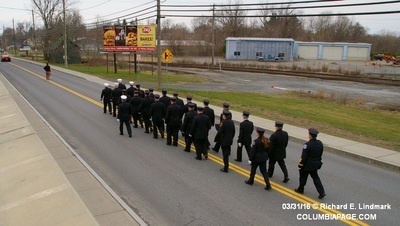 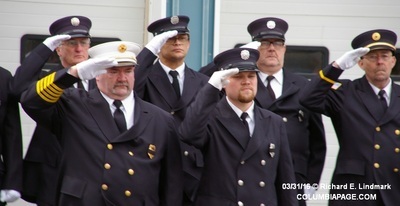 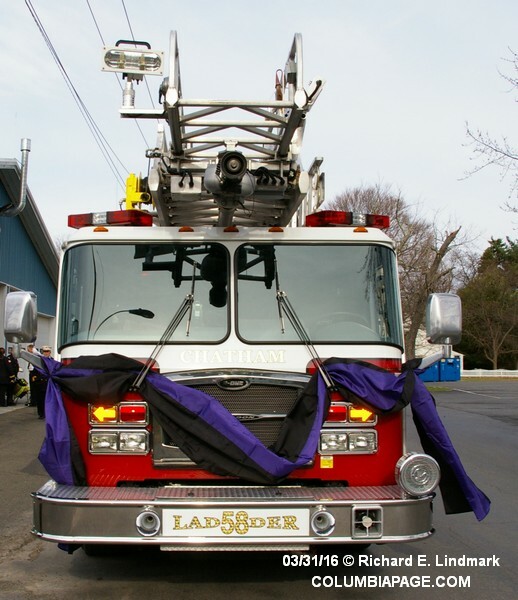 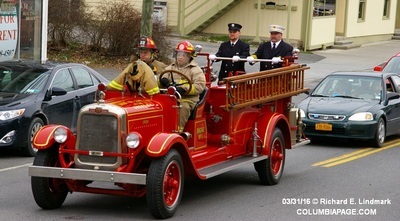 There was a procession from the funeral home to the Chatham Fire Department where Leonard's last call was observed. 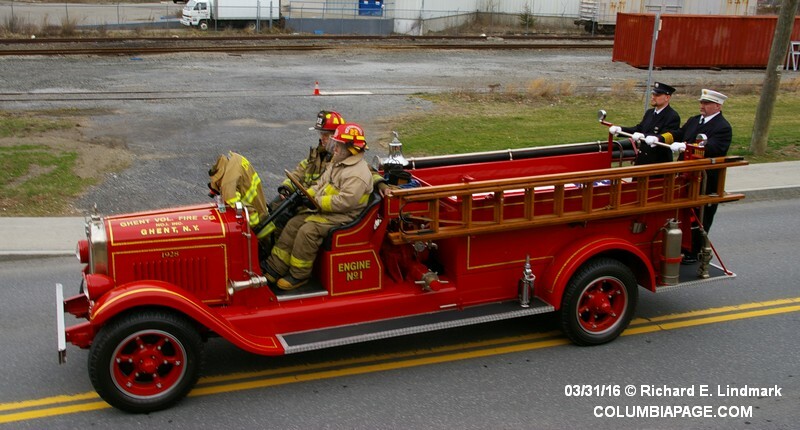 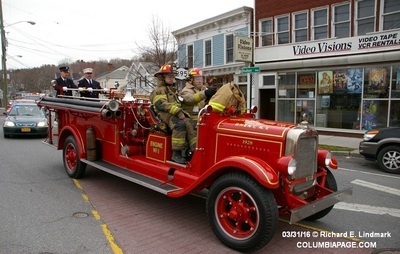 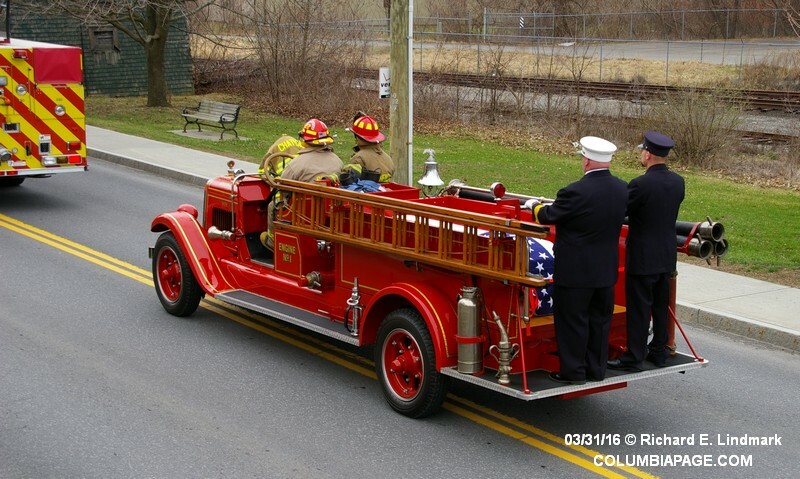 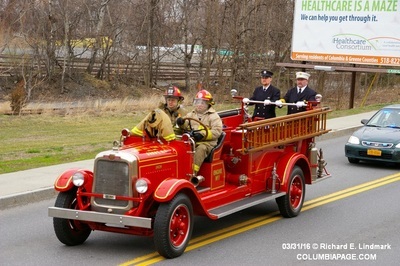 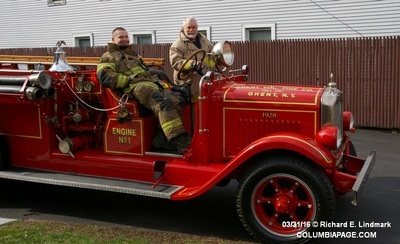 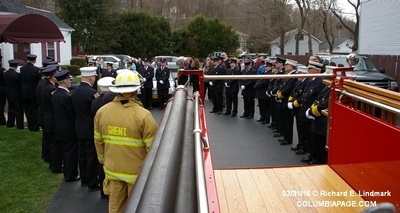 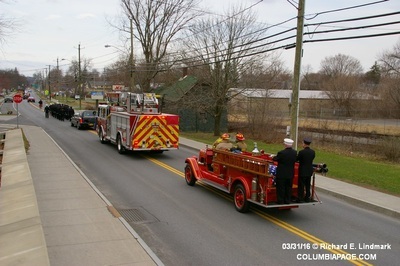 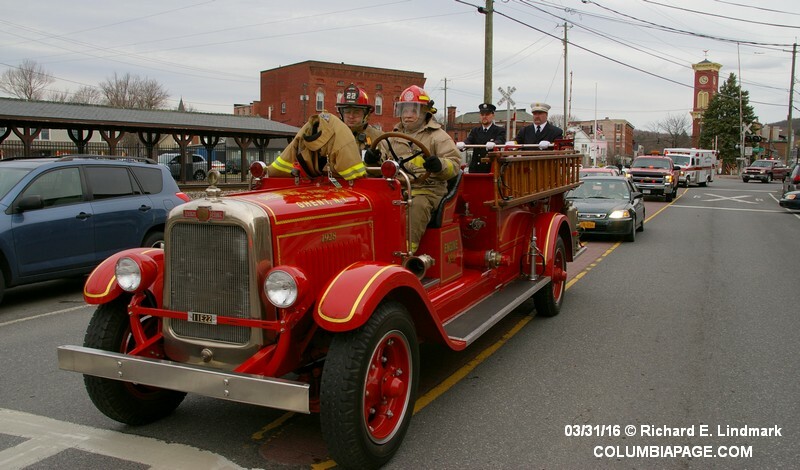 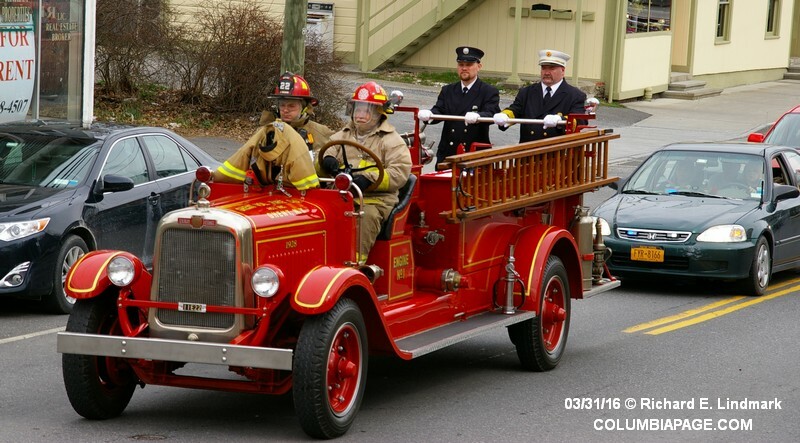 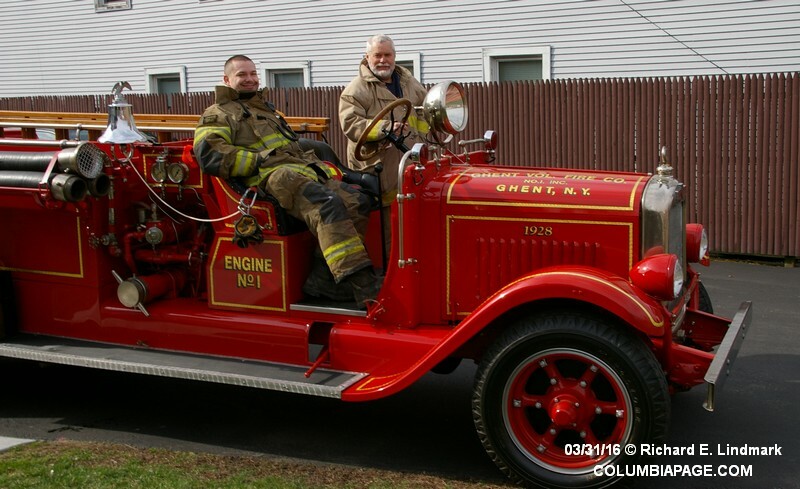 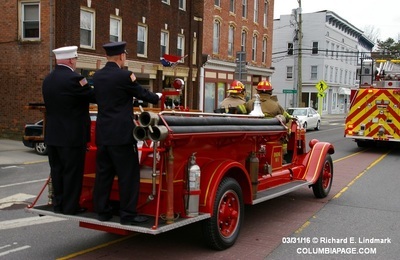 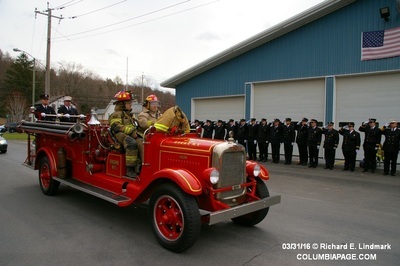 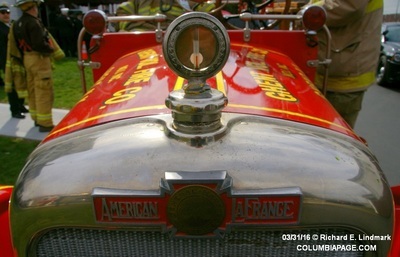 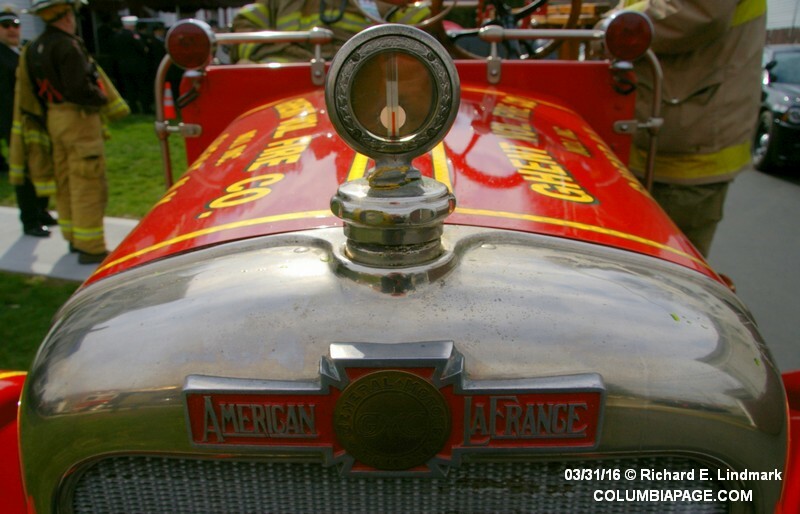 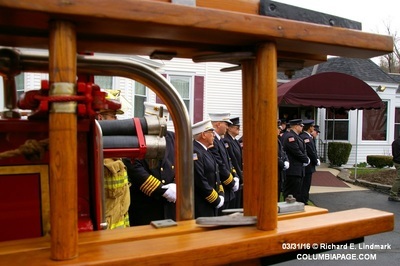 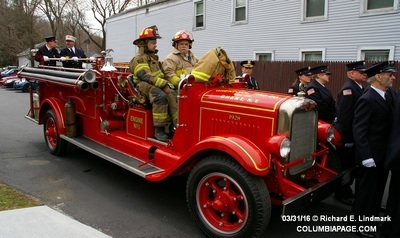 The casket bearing the remains of Firefighter Blish was carried to the Chatham Center cemetery on Ghent Fire Department's 1928 American LaFrance. 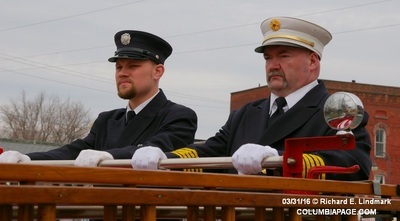 Leonard's son Douglas and Past Chief Paul Pratt rode the tailboard. 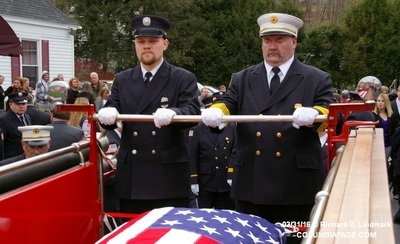 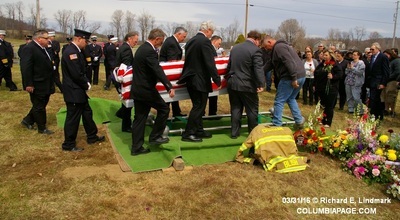 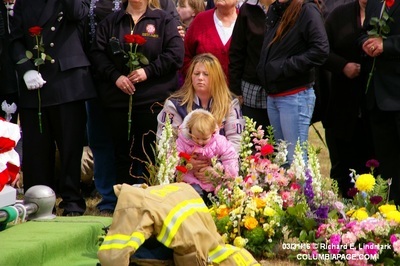 The flag that adorned the casket was presented to Leonard's wife Pam by Chatham Fire Department Chaplin Patrick Wemitt.